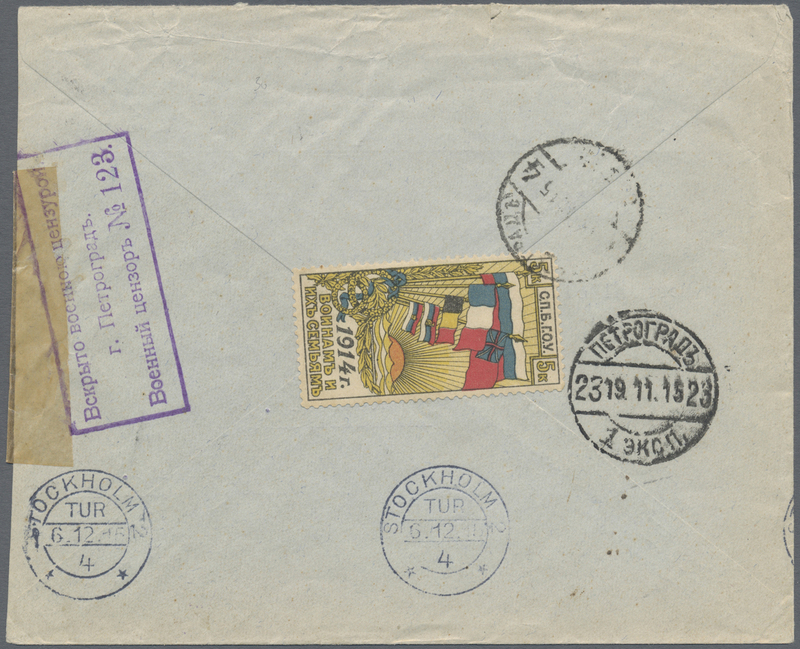 19779 gestempelt (marked) 51y K 1904 15 kop. 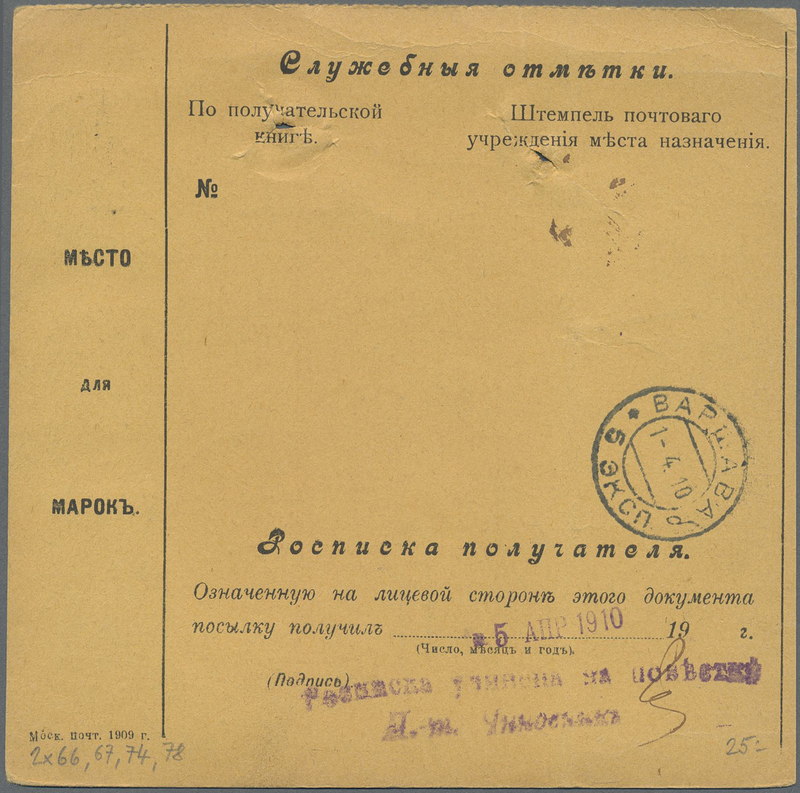 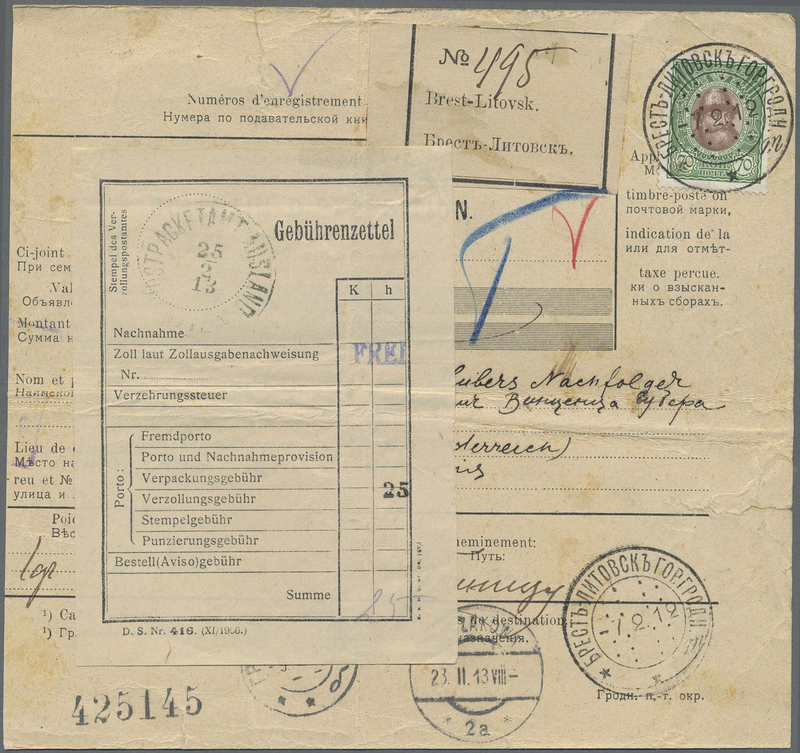 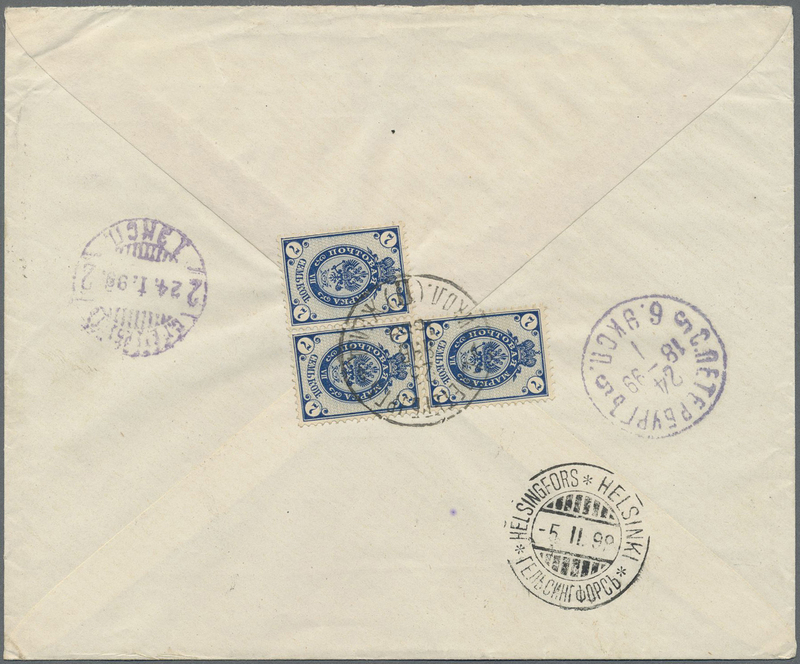 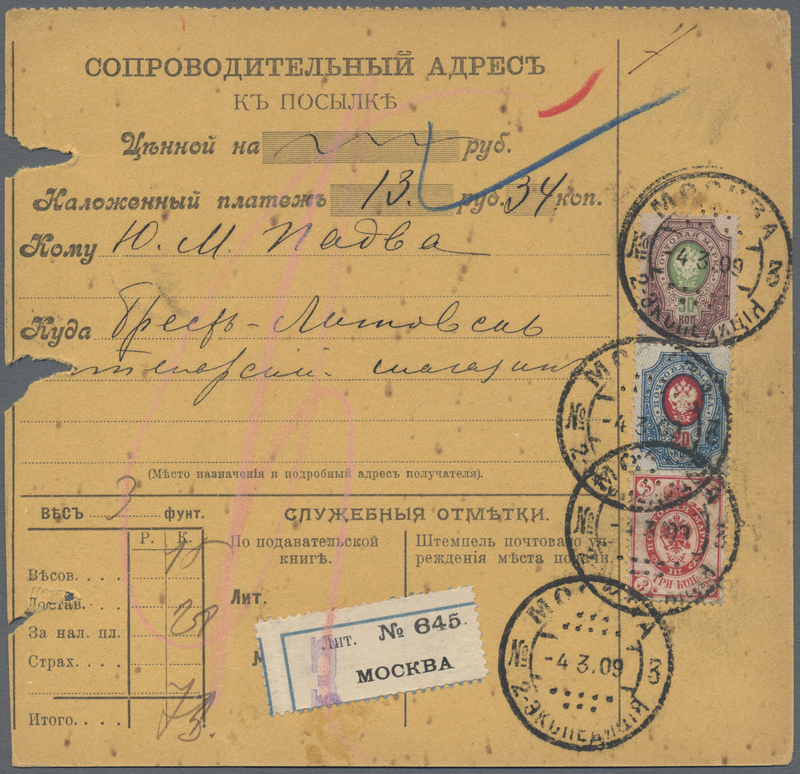 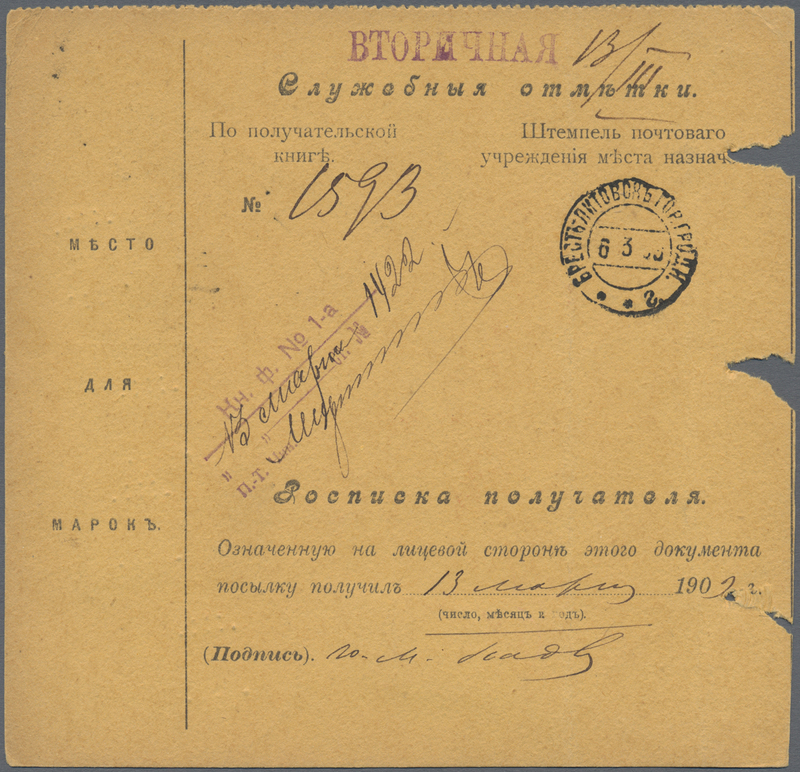 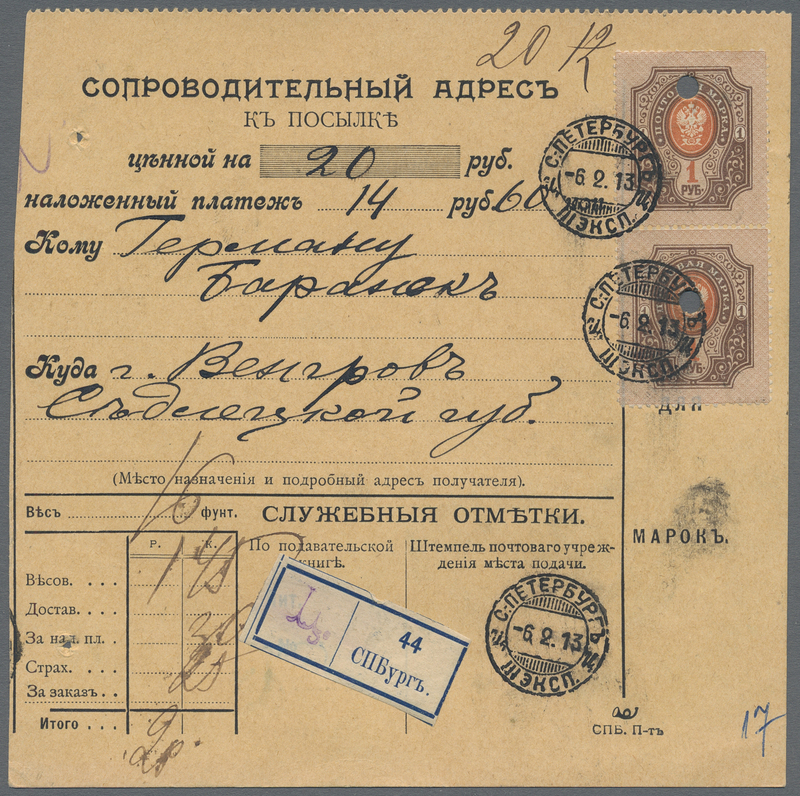 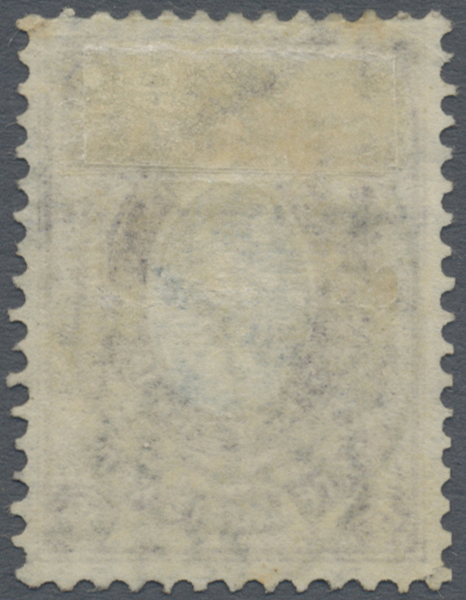 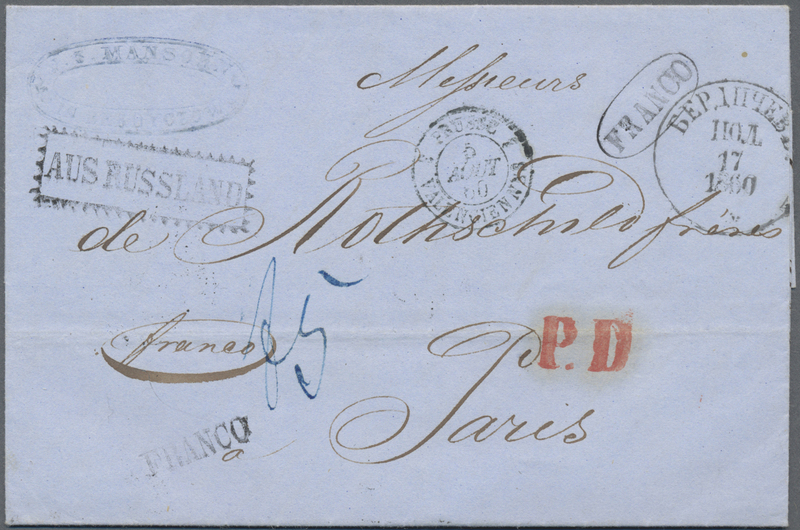 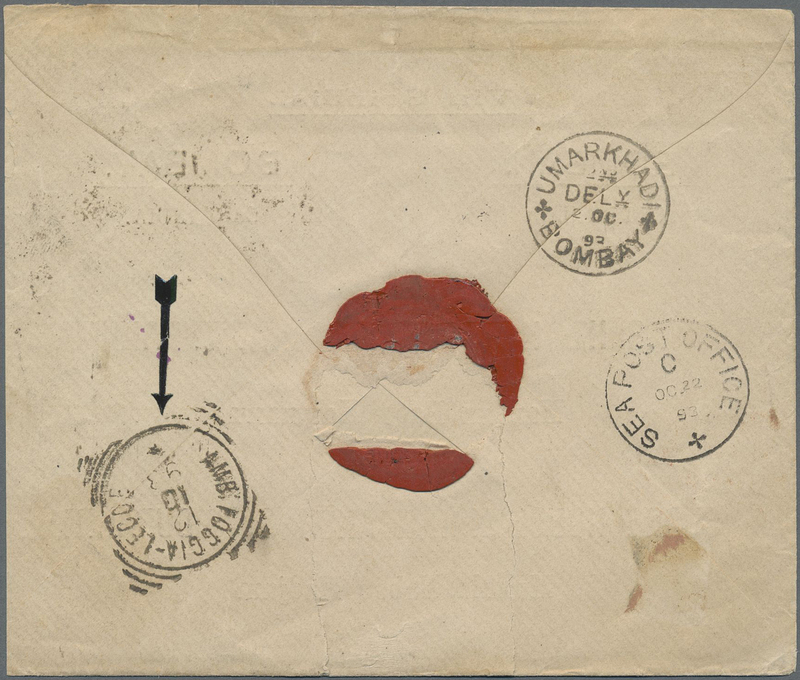 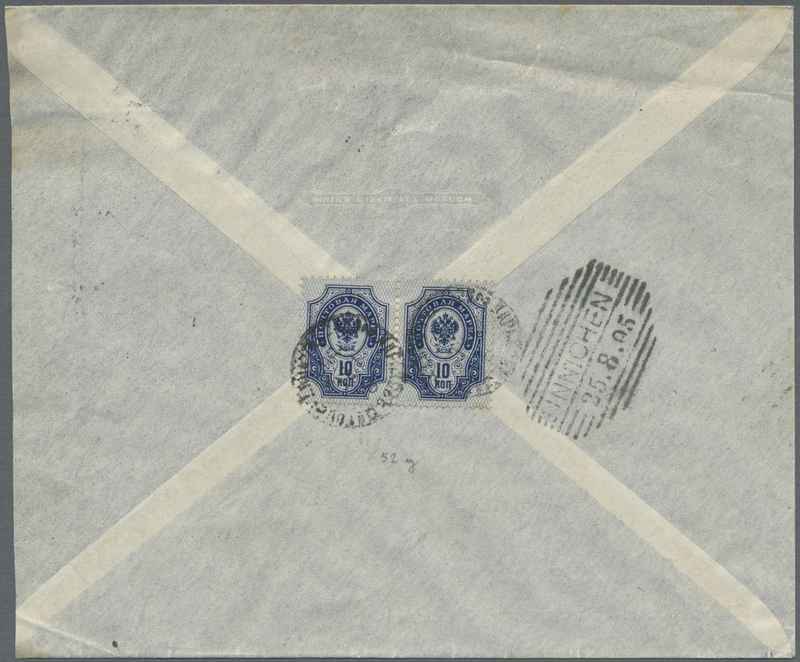 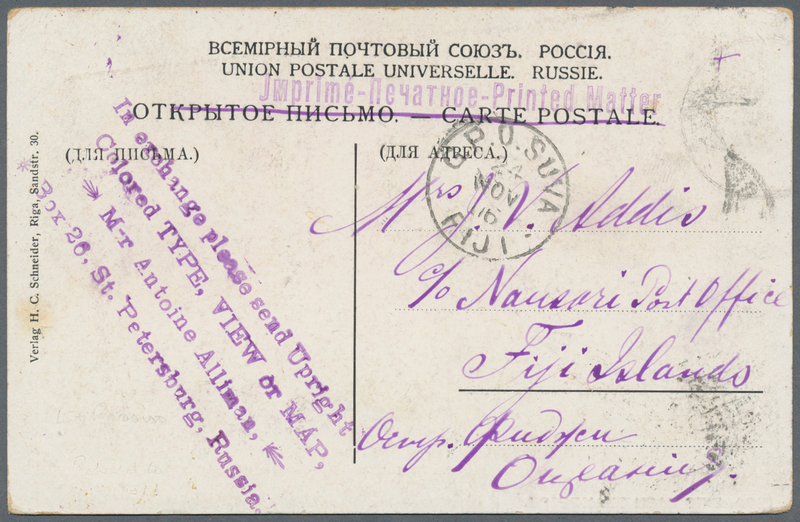 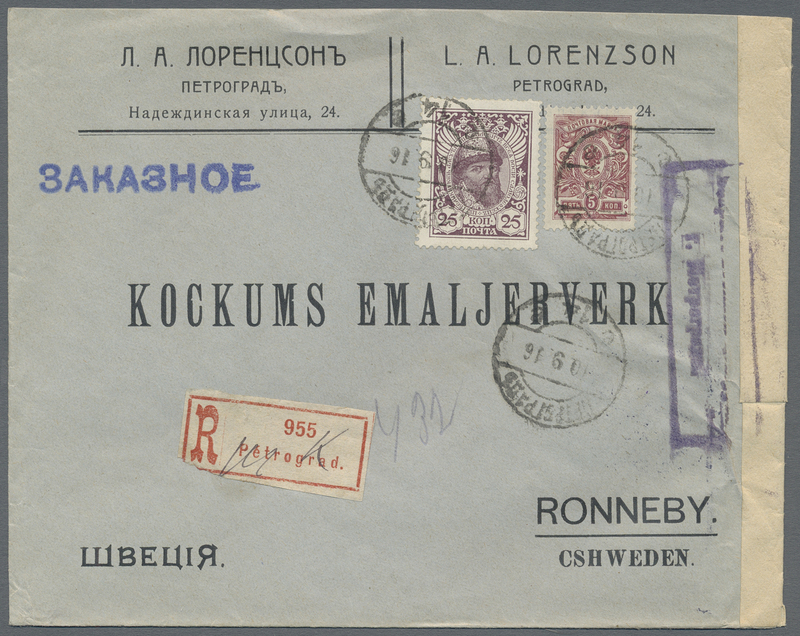 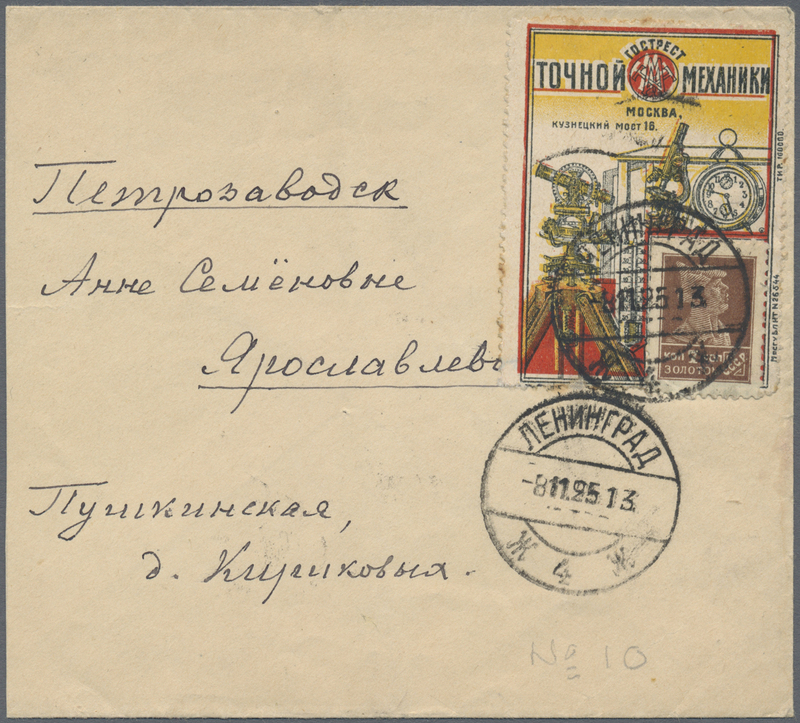 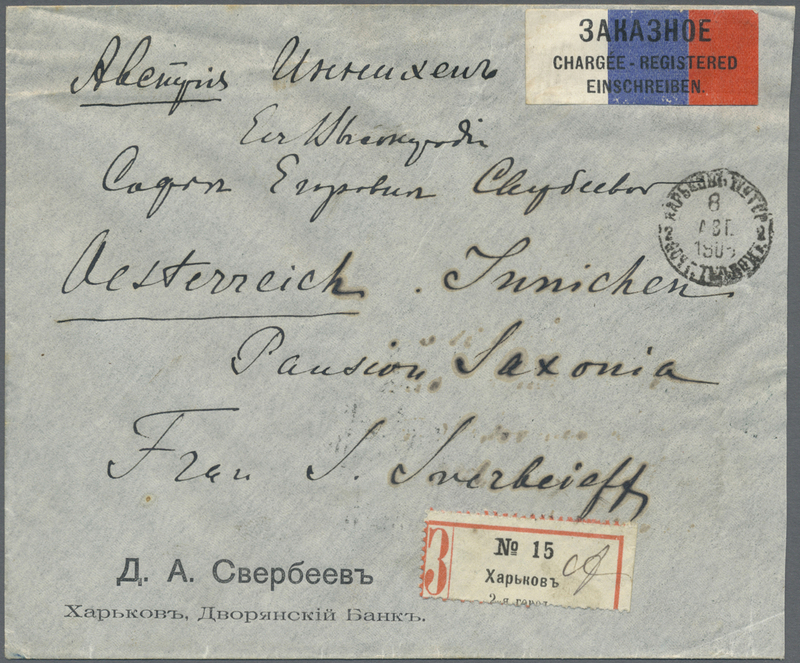 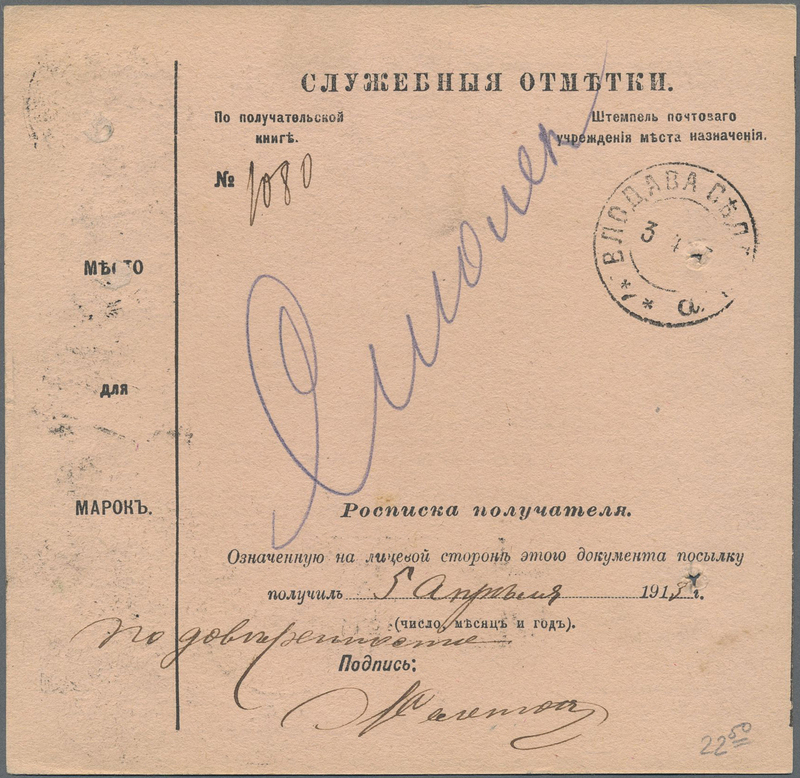 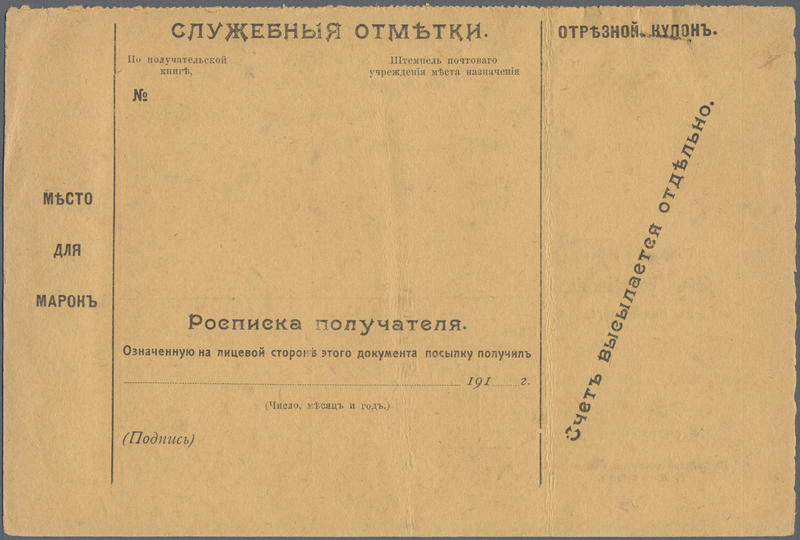 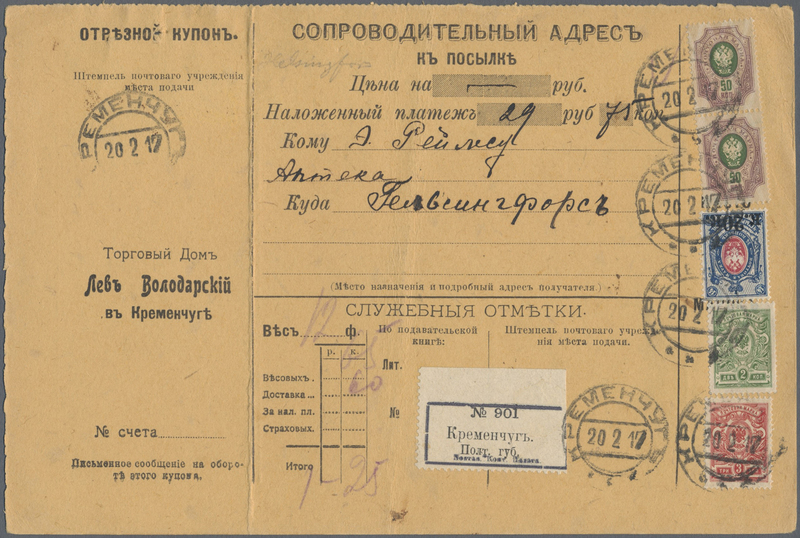 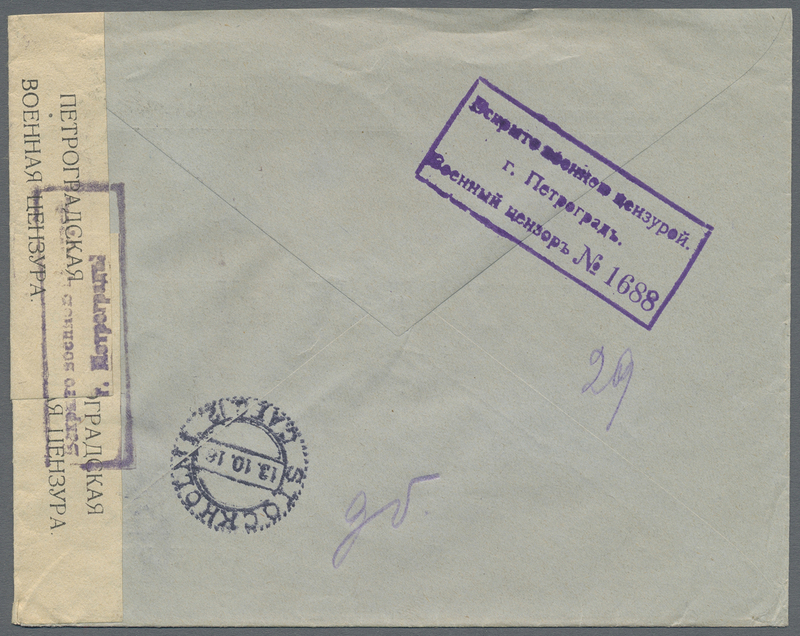 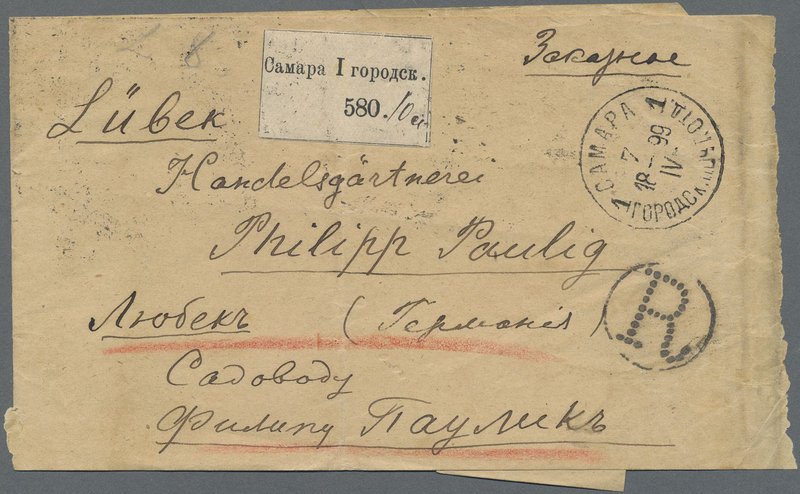 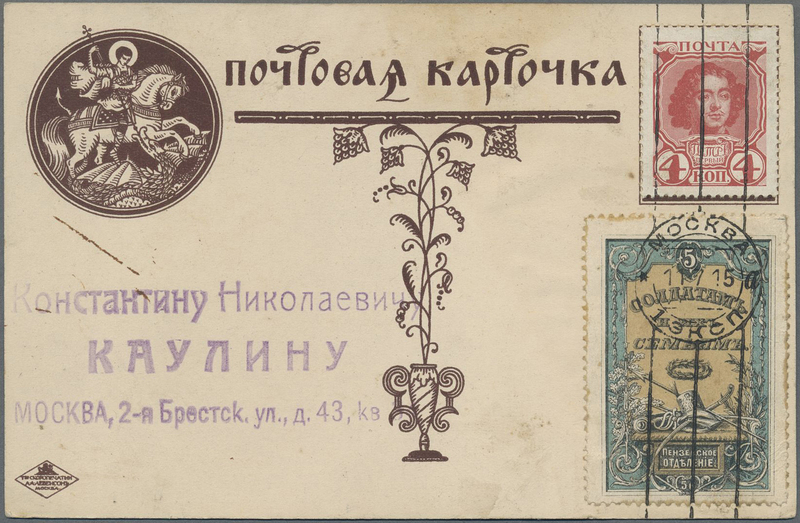 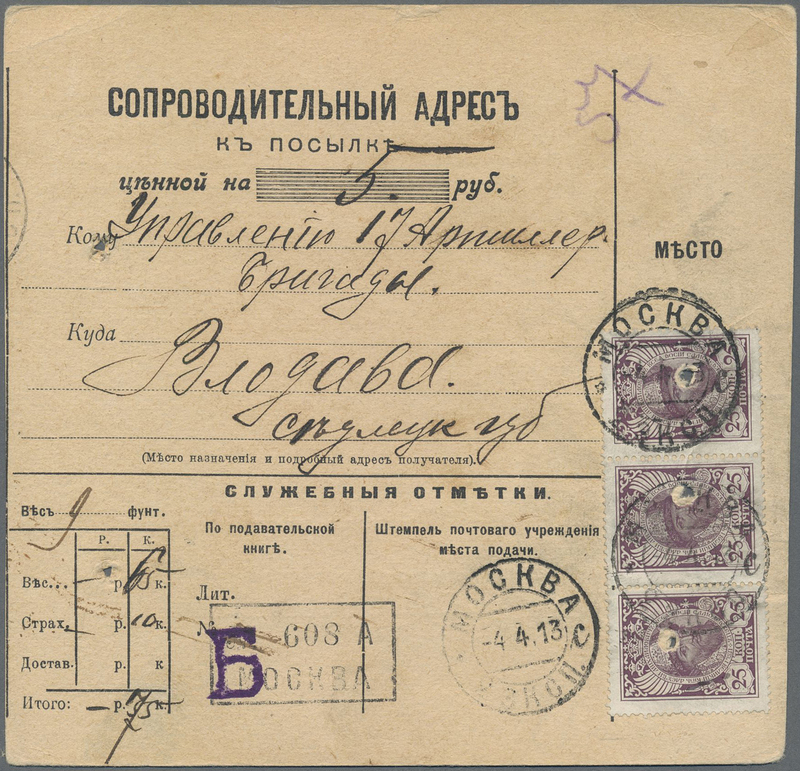 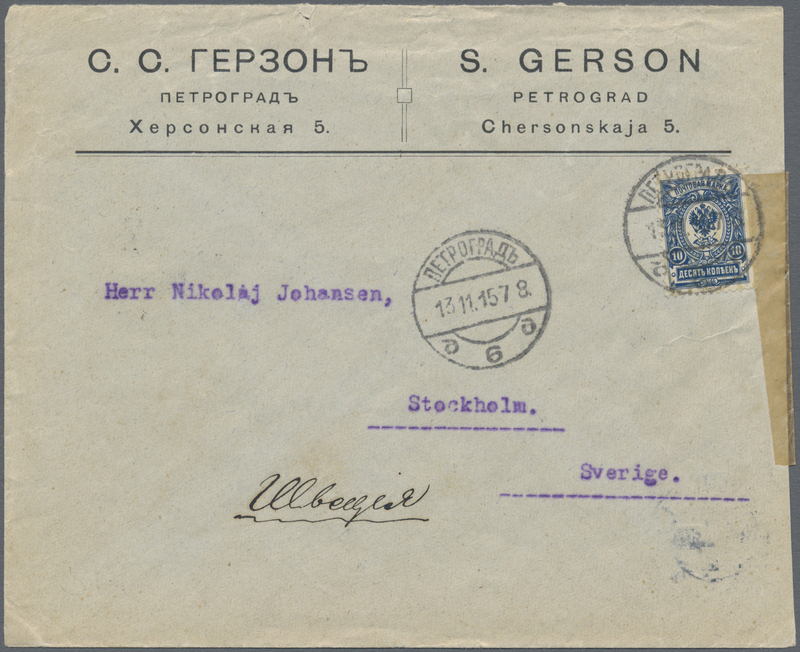 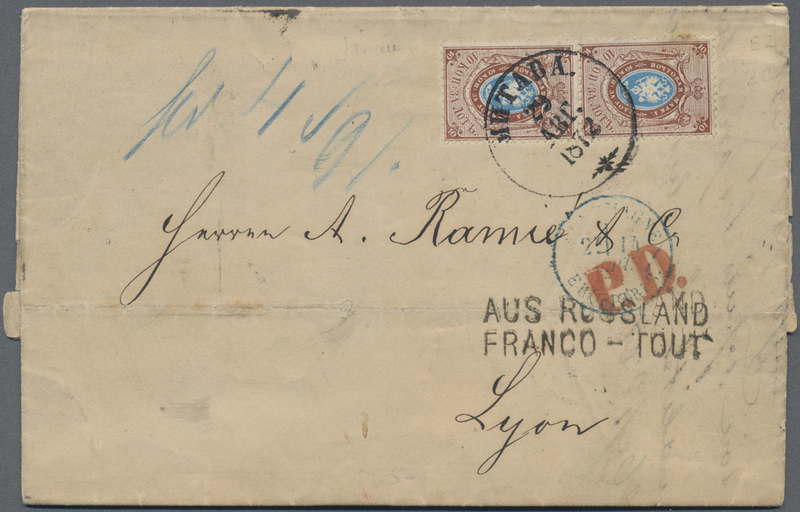 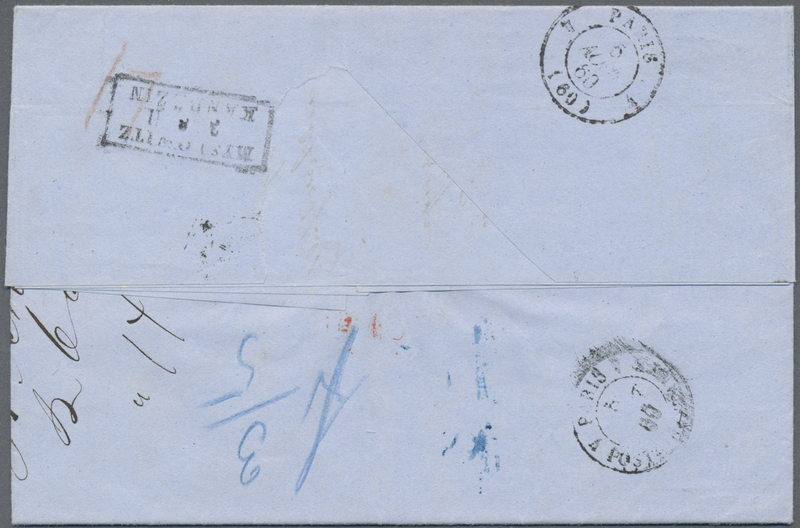 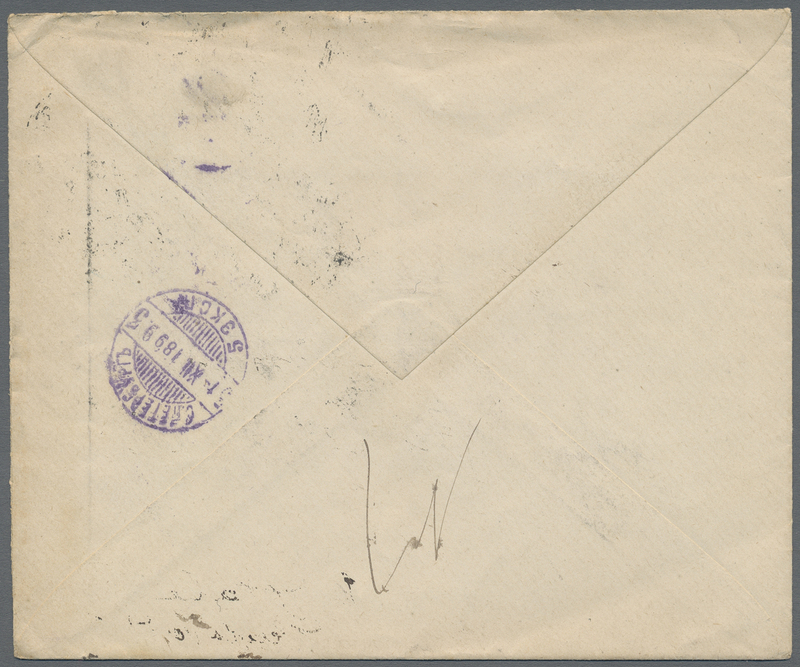 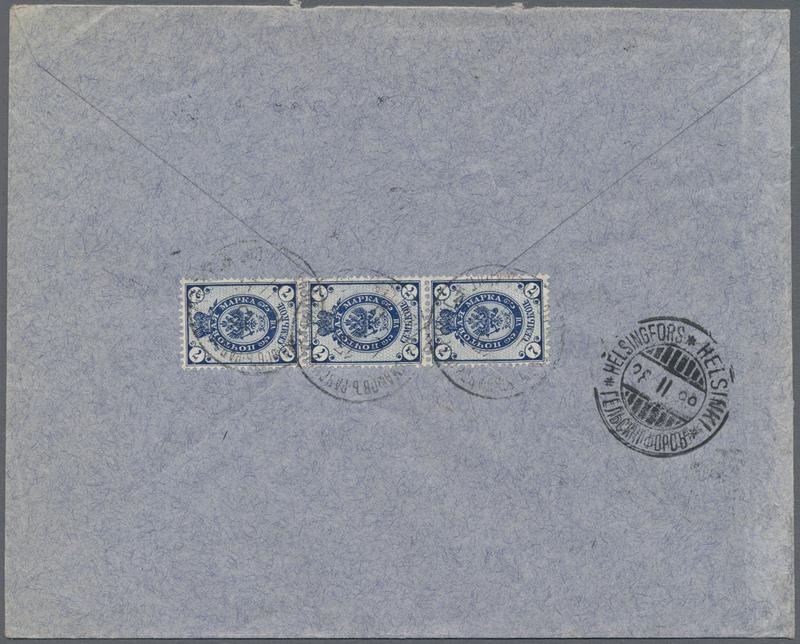 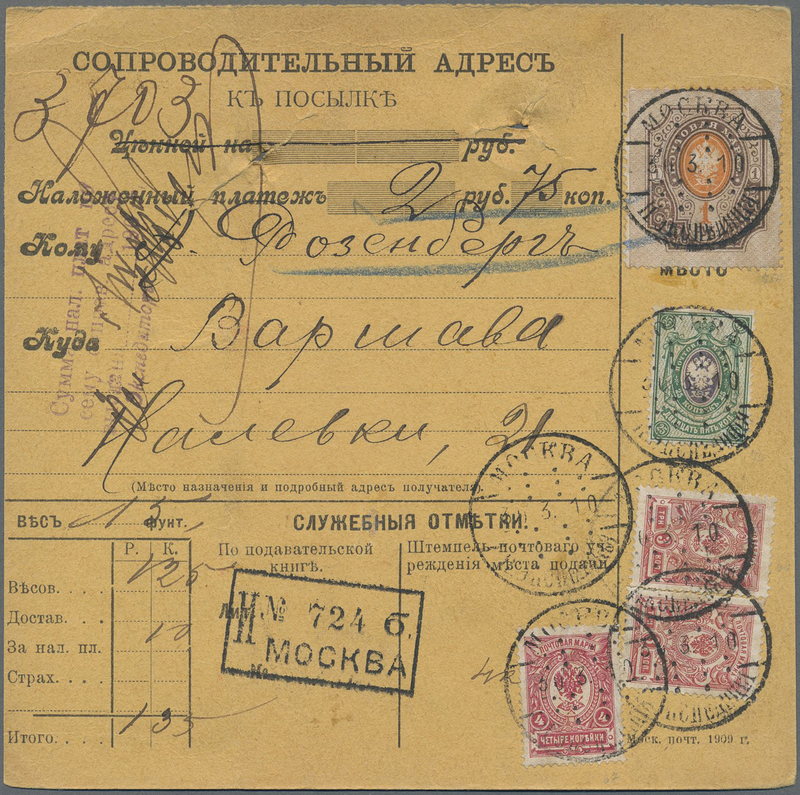 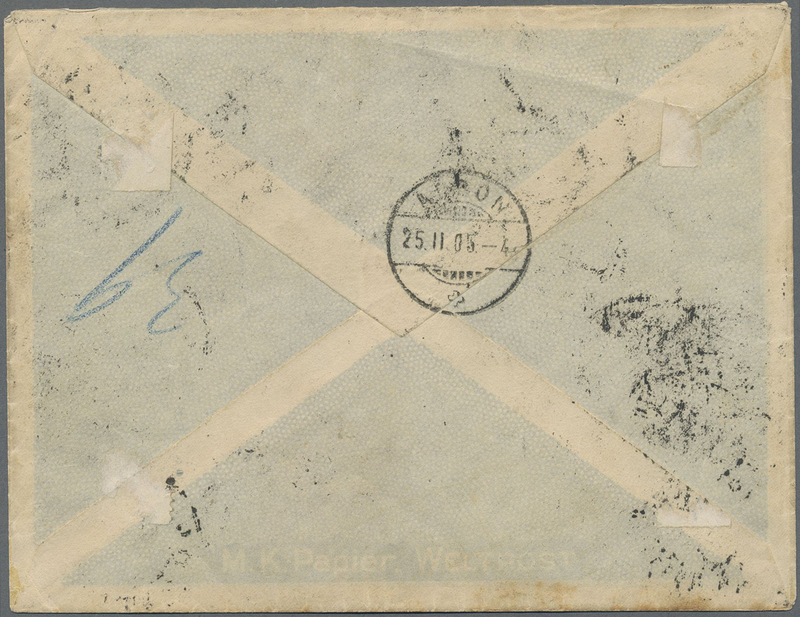 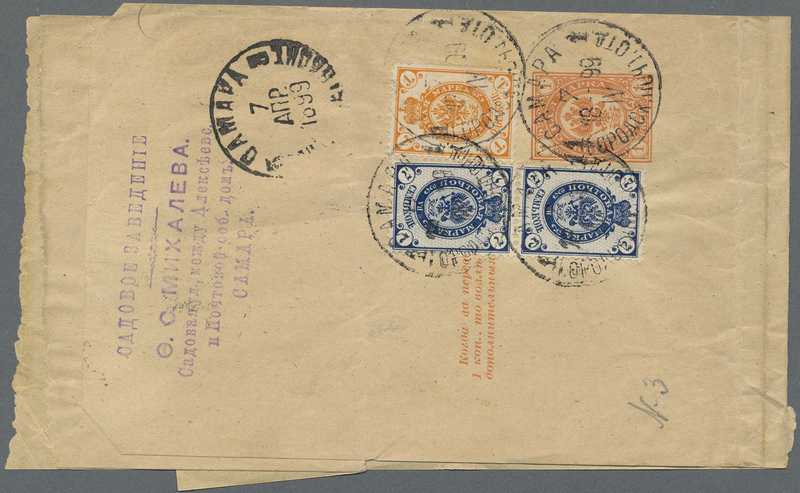 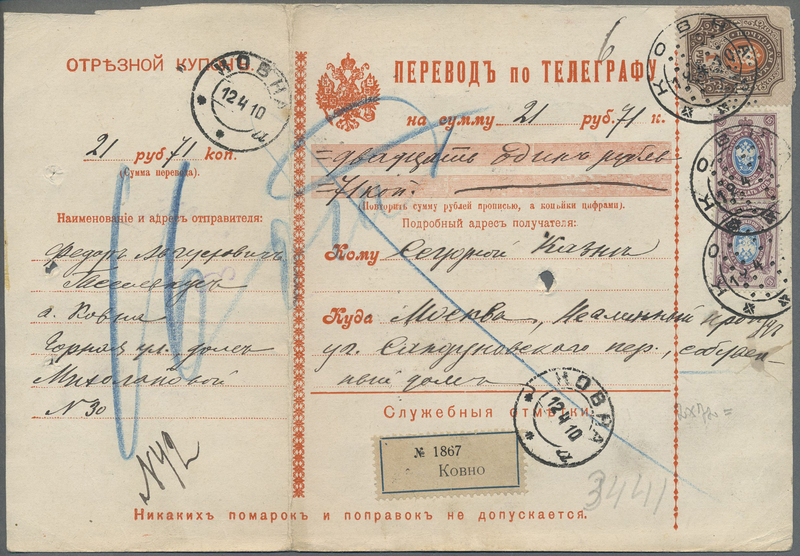 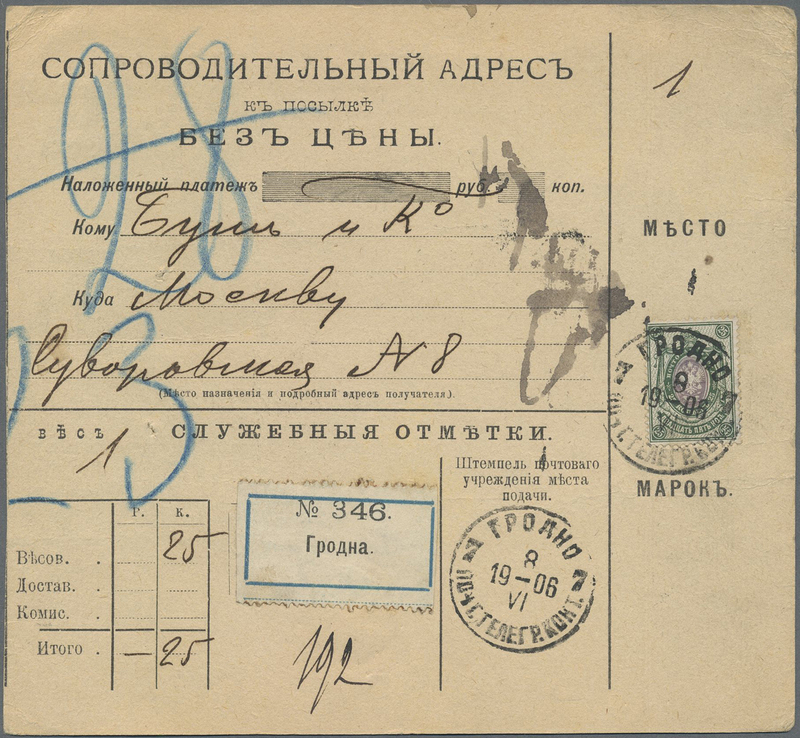 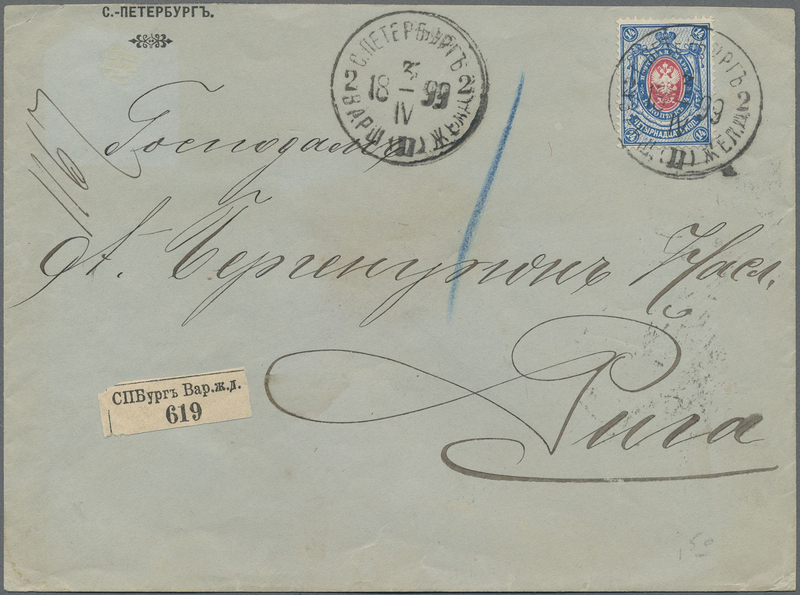 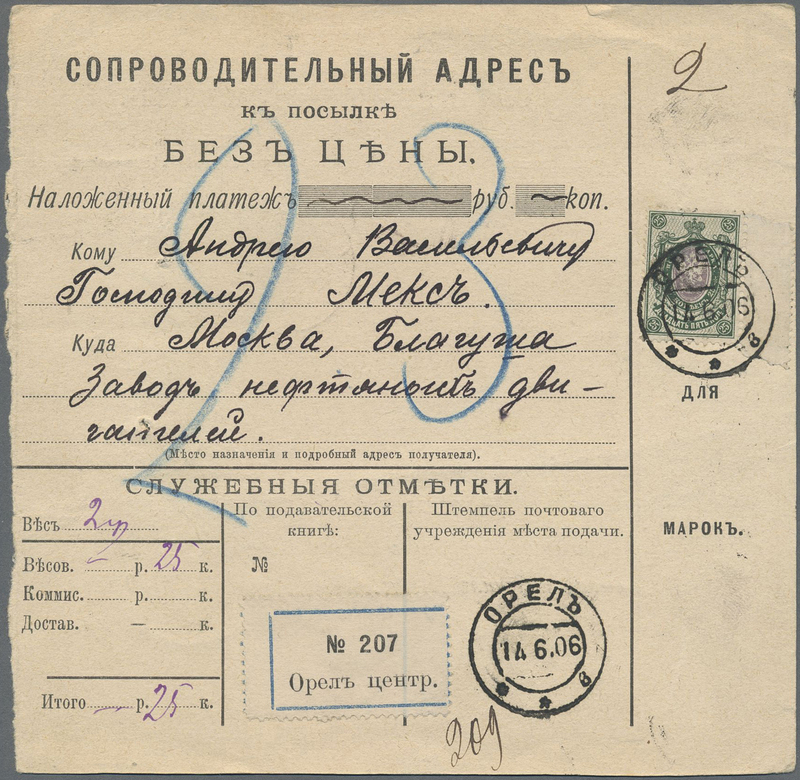 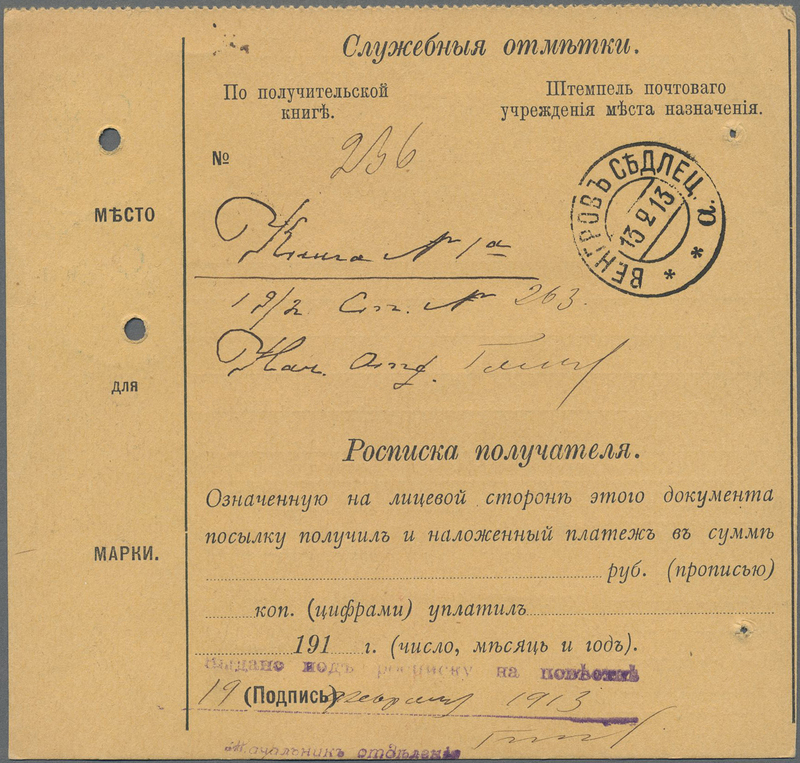 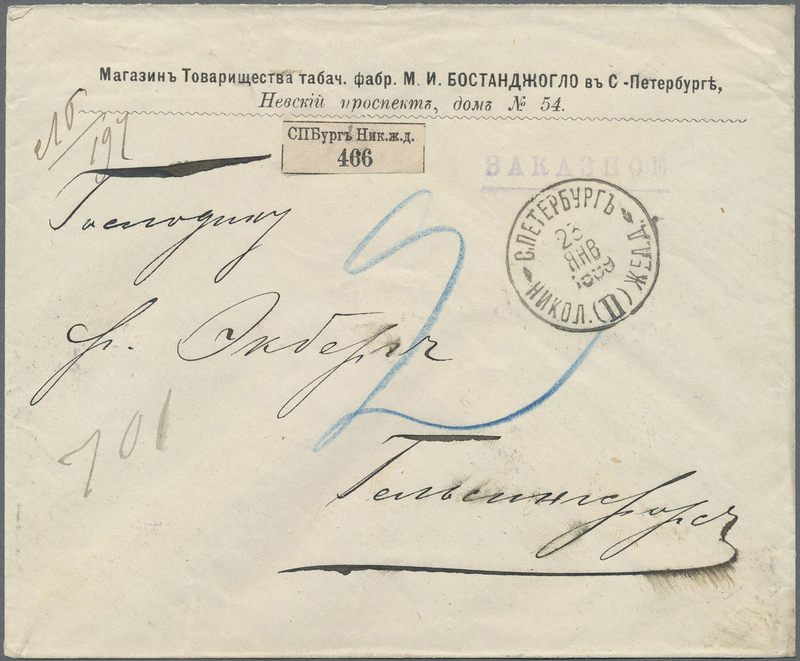 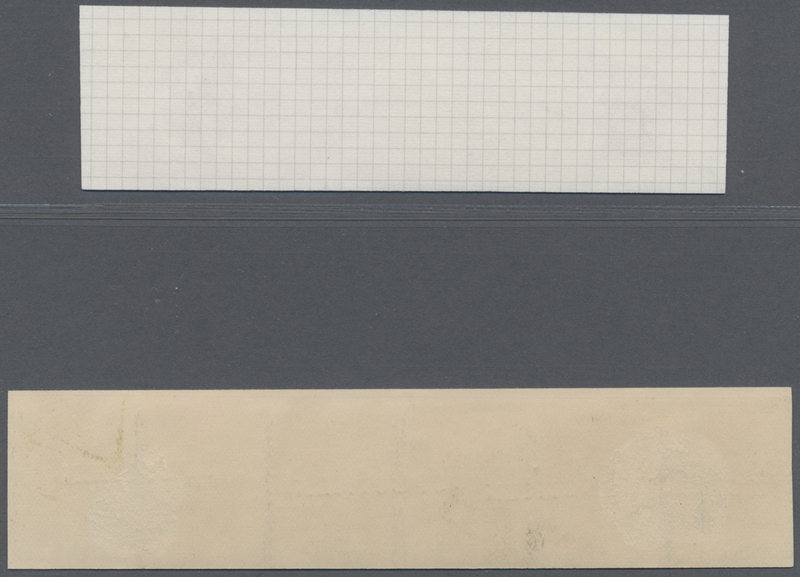 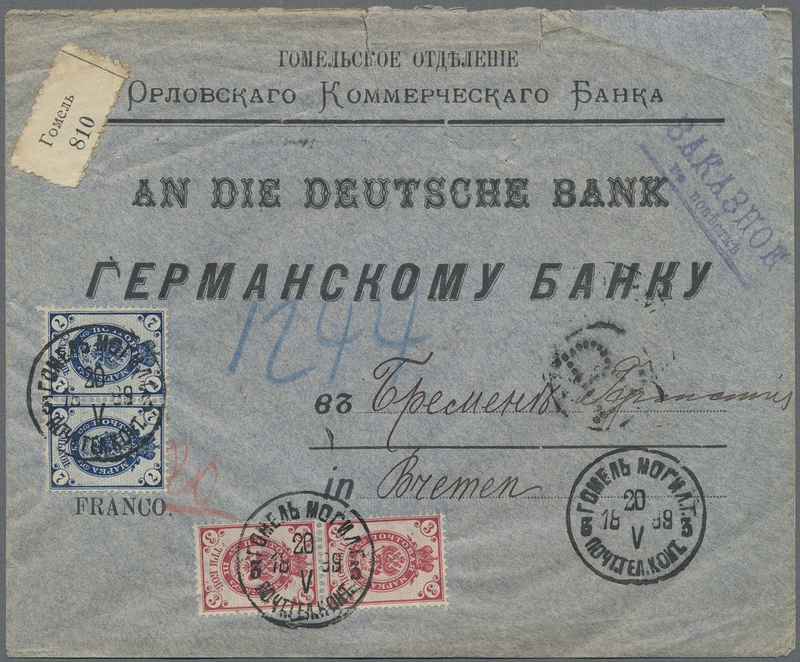 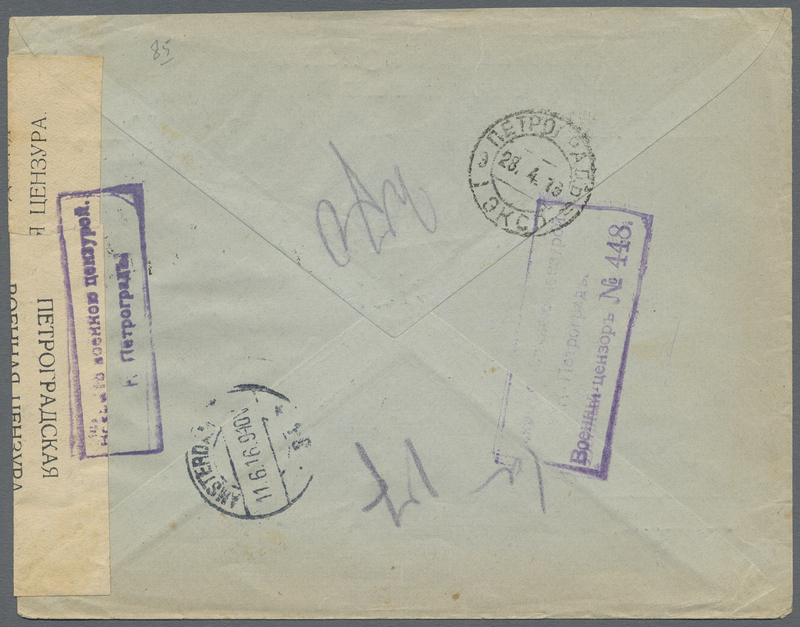 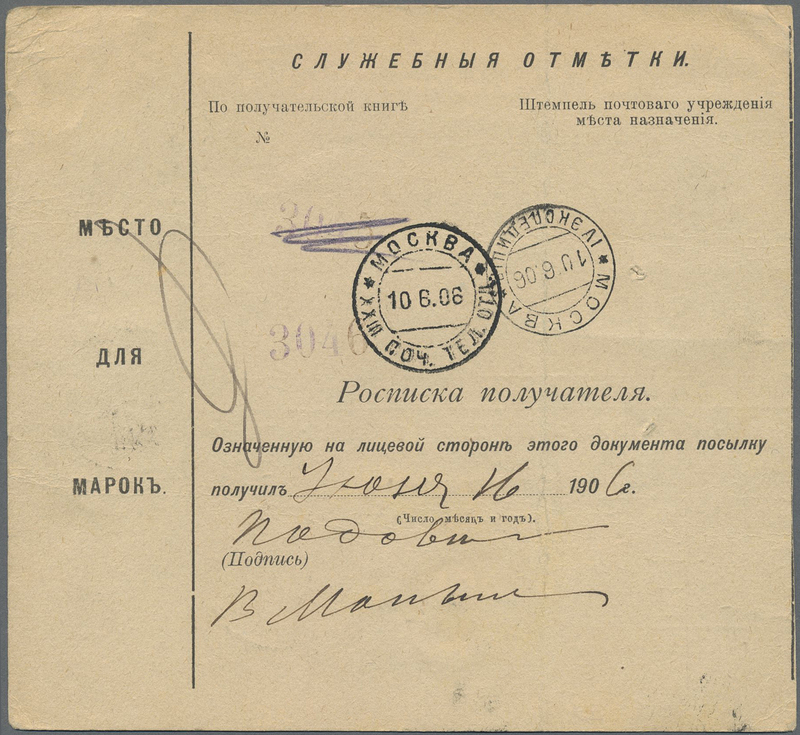 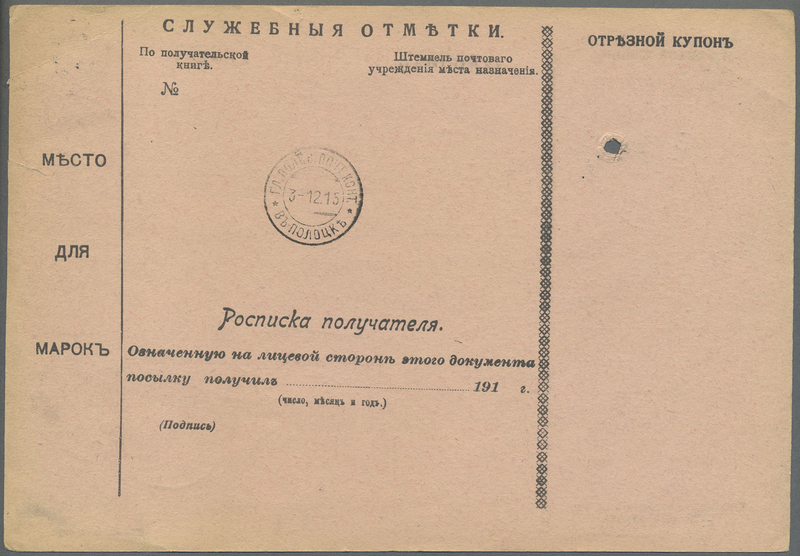 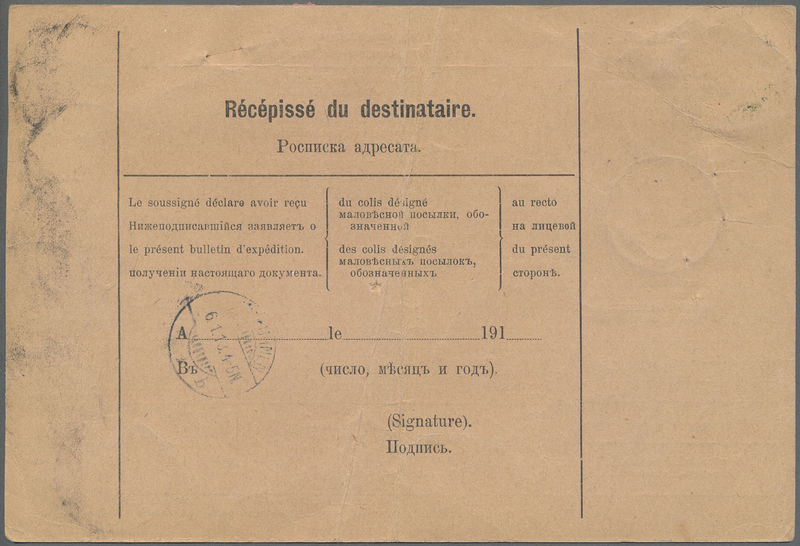 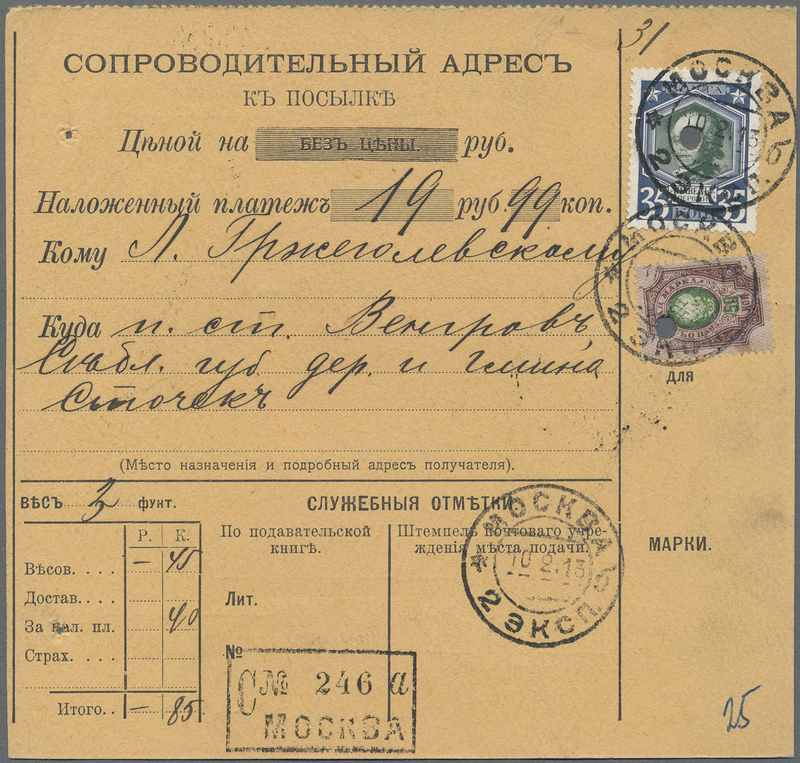 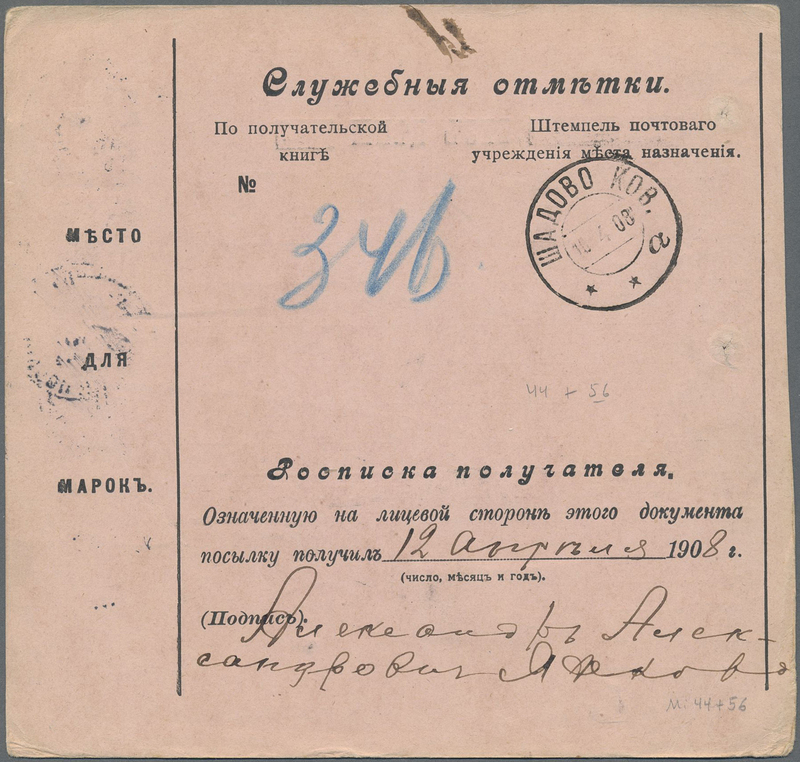 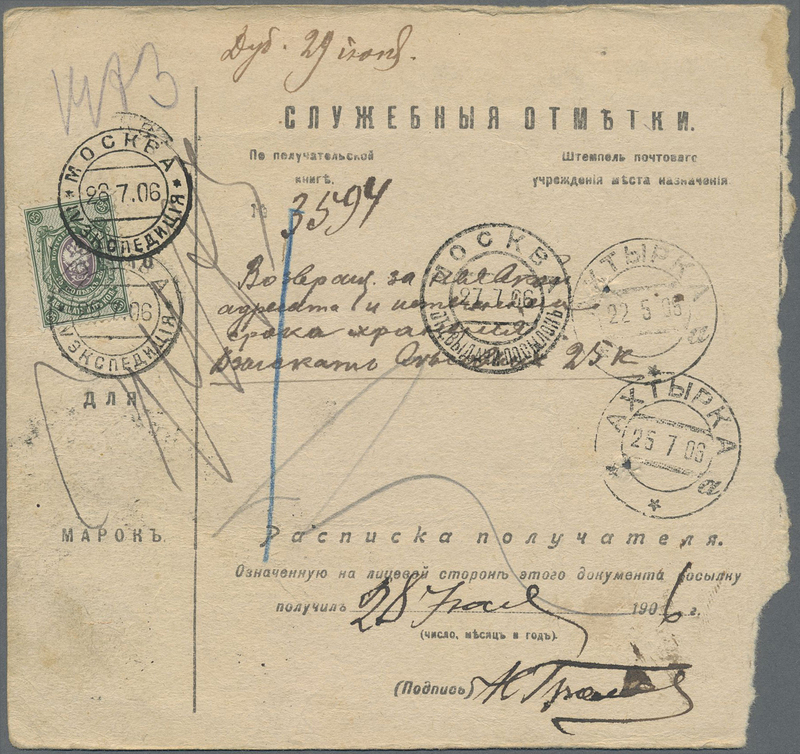 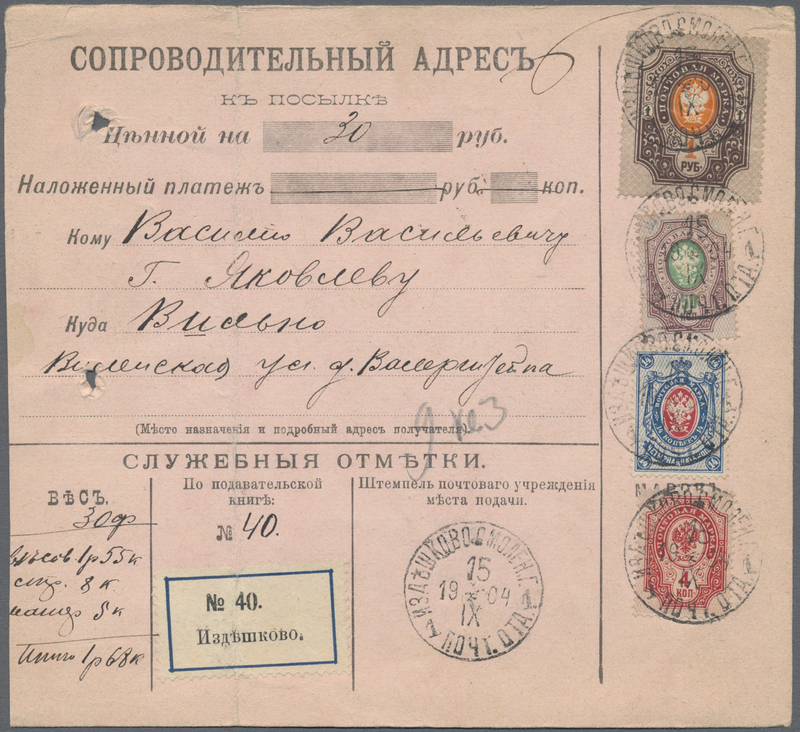 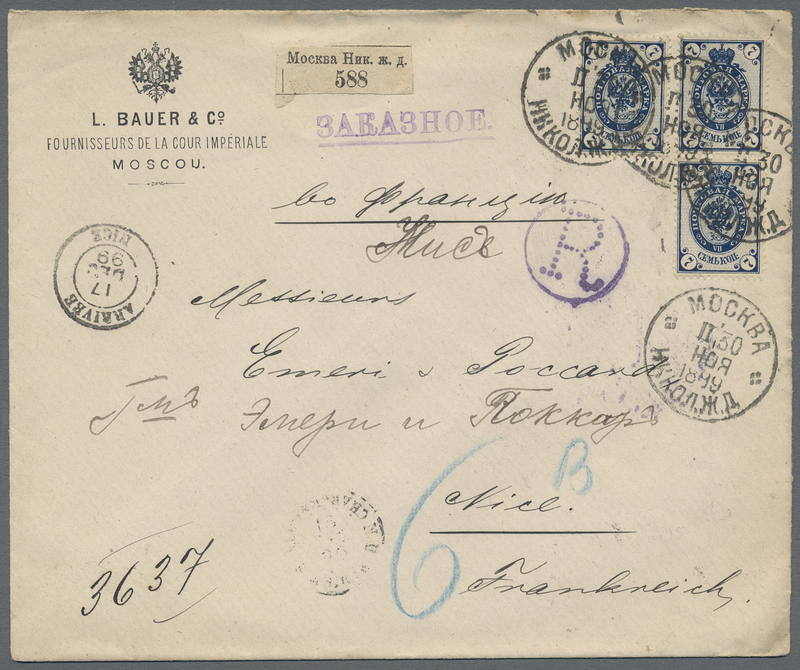 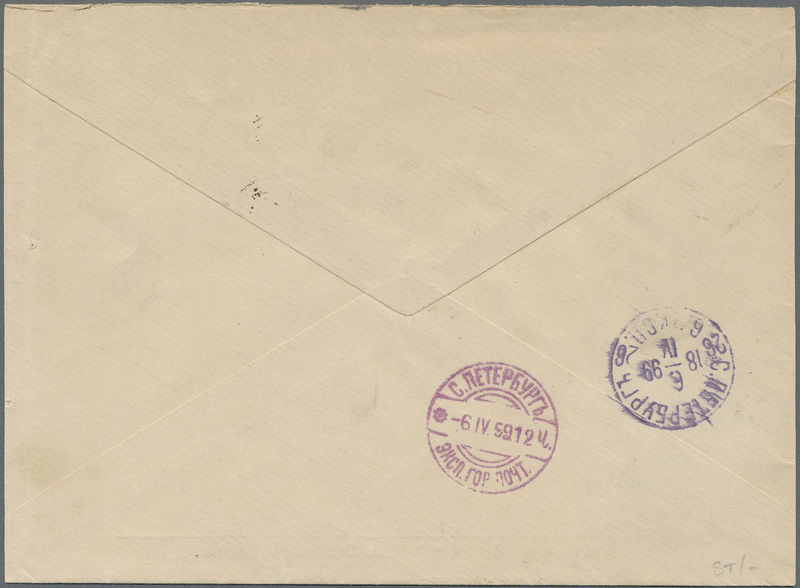 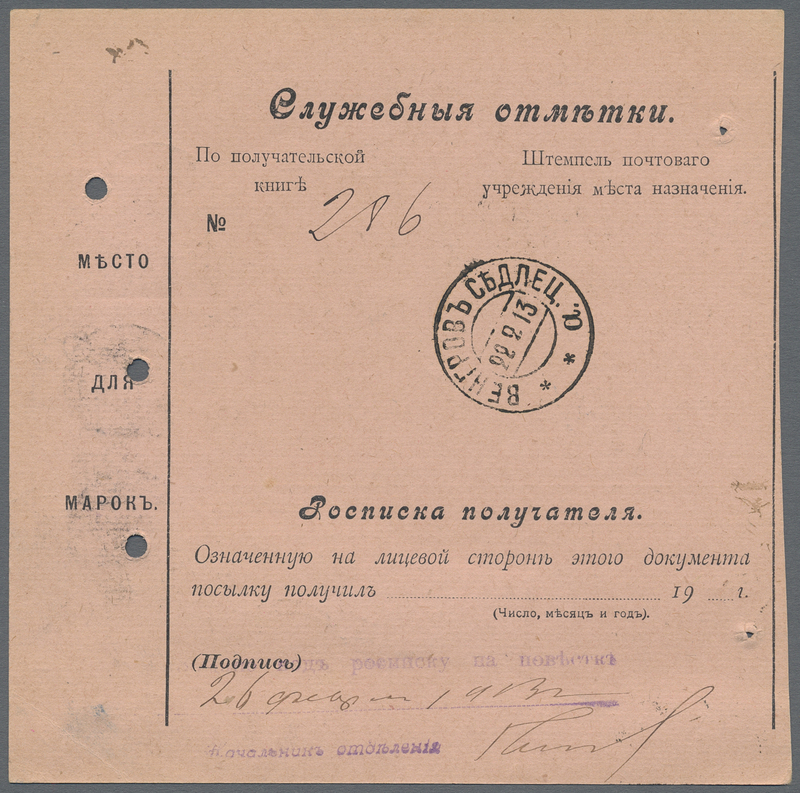 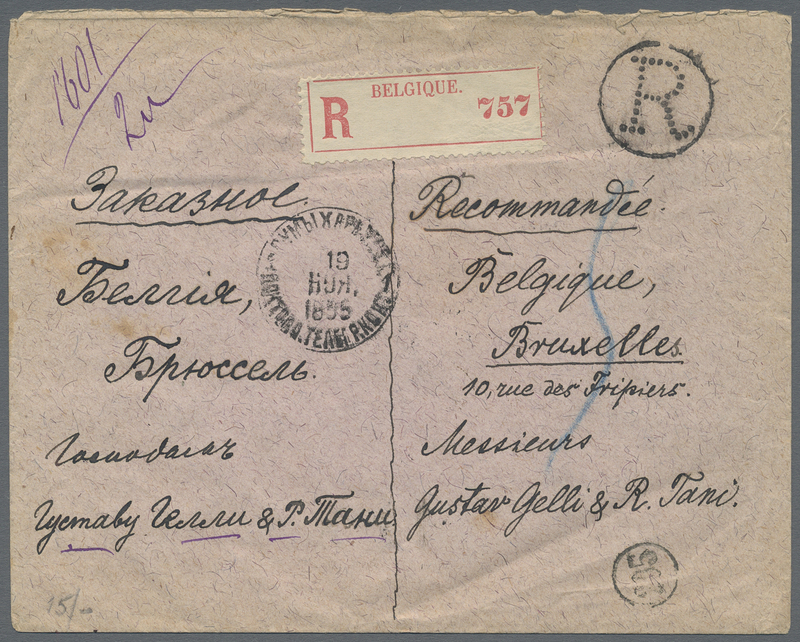 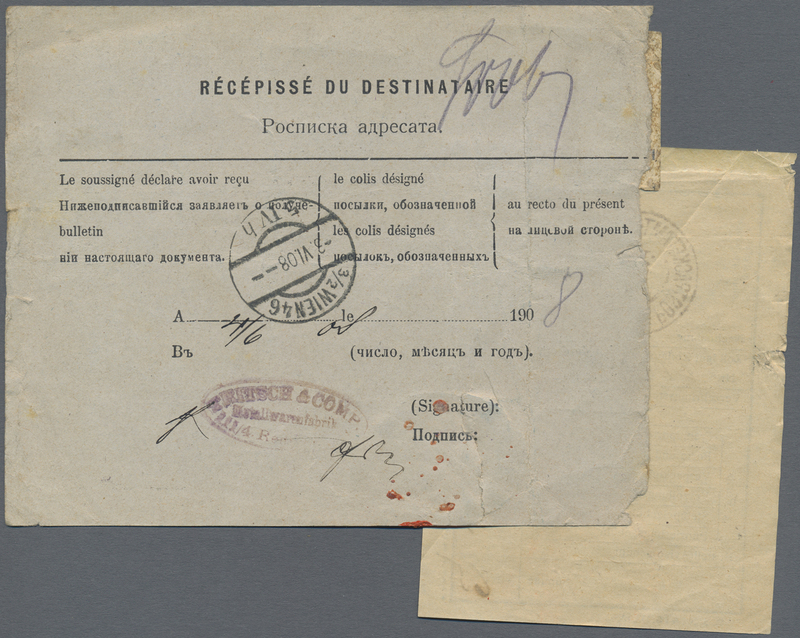 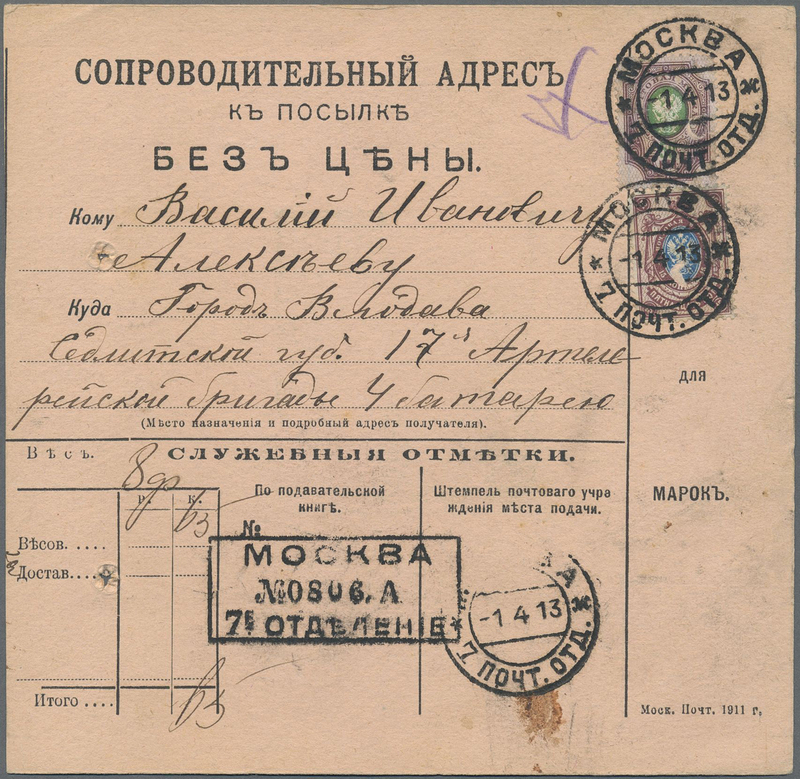 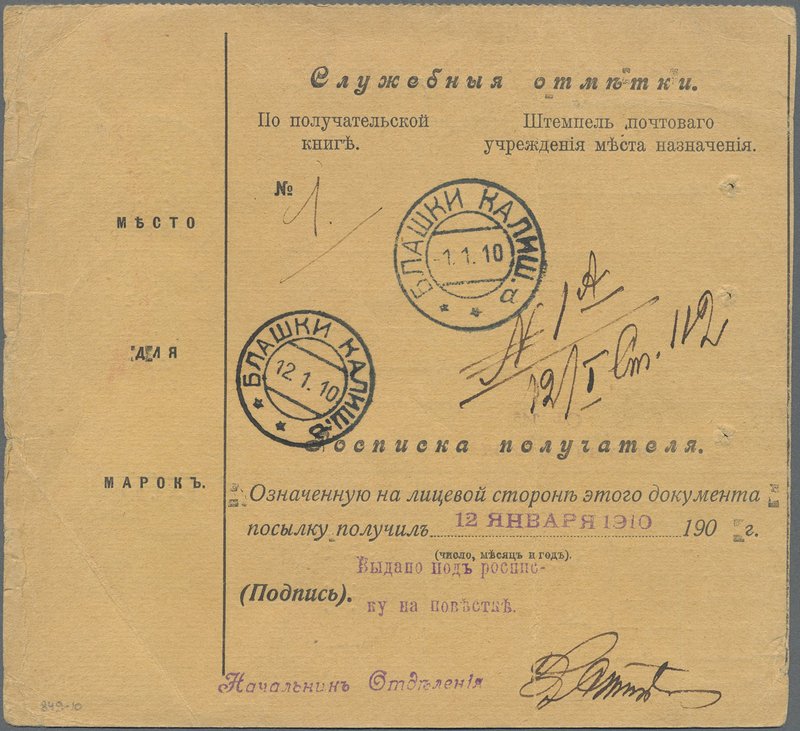 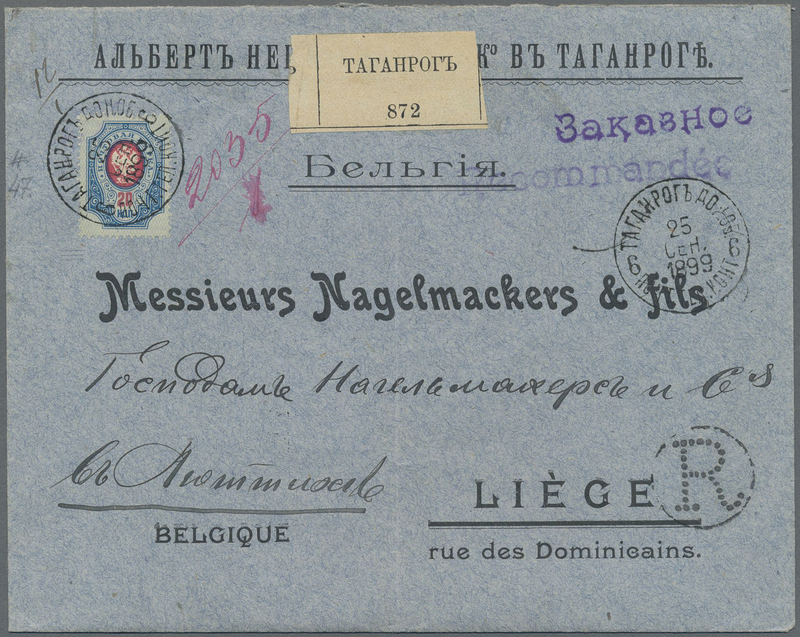 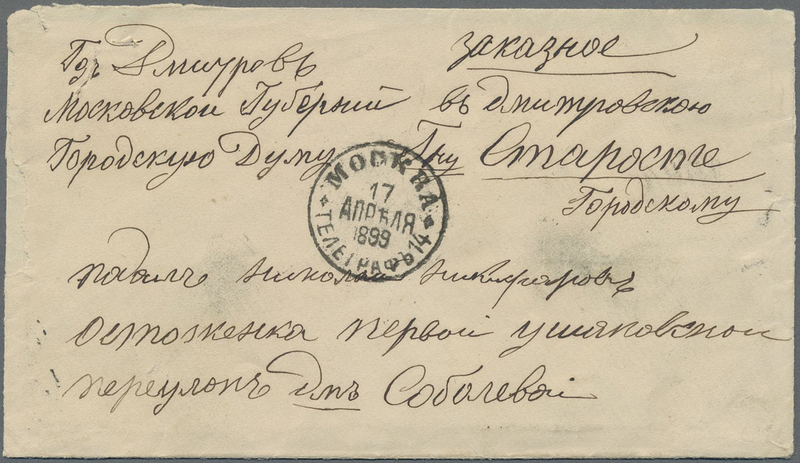 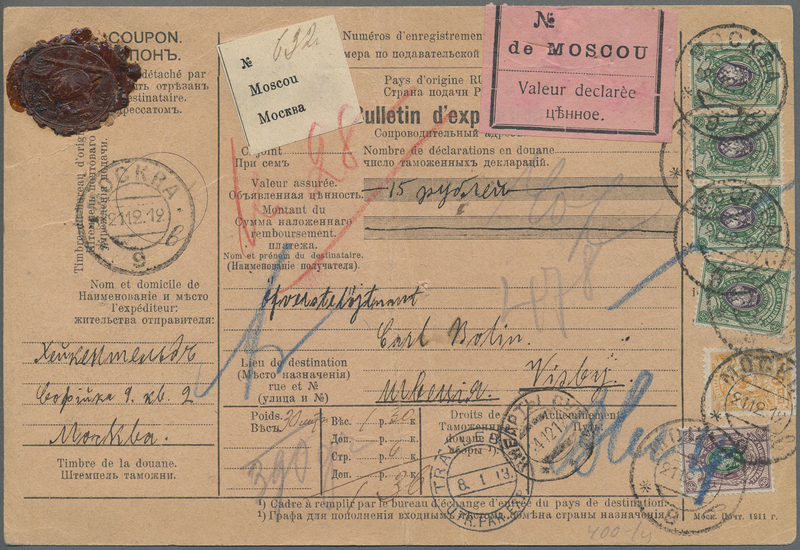 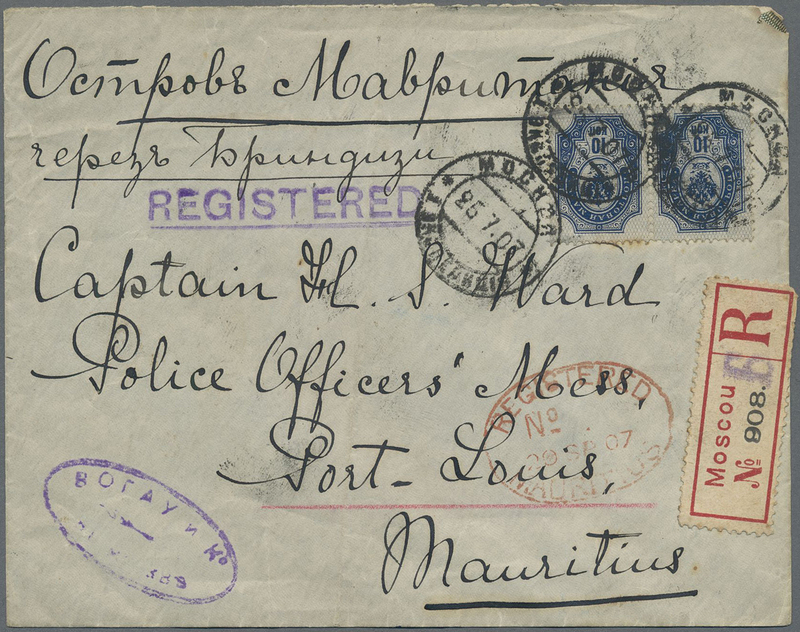 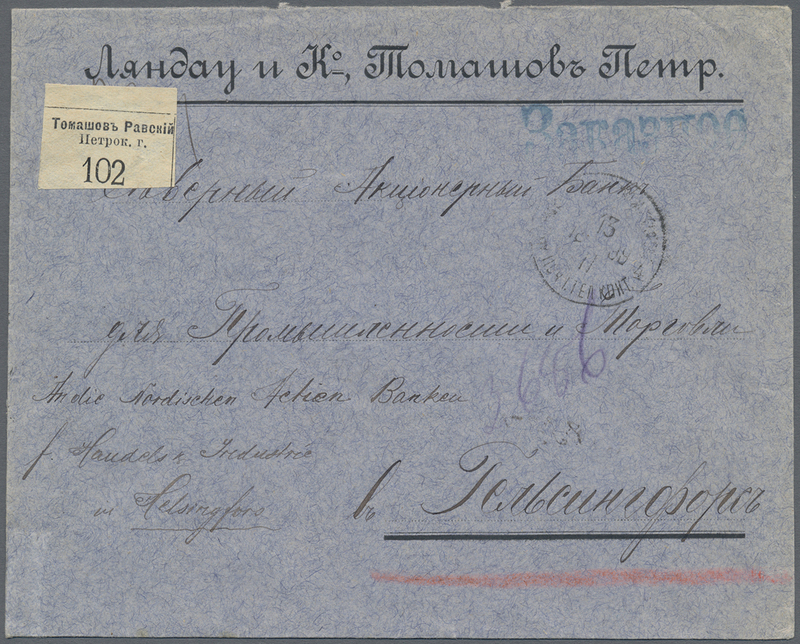 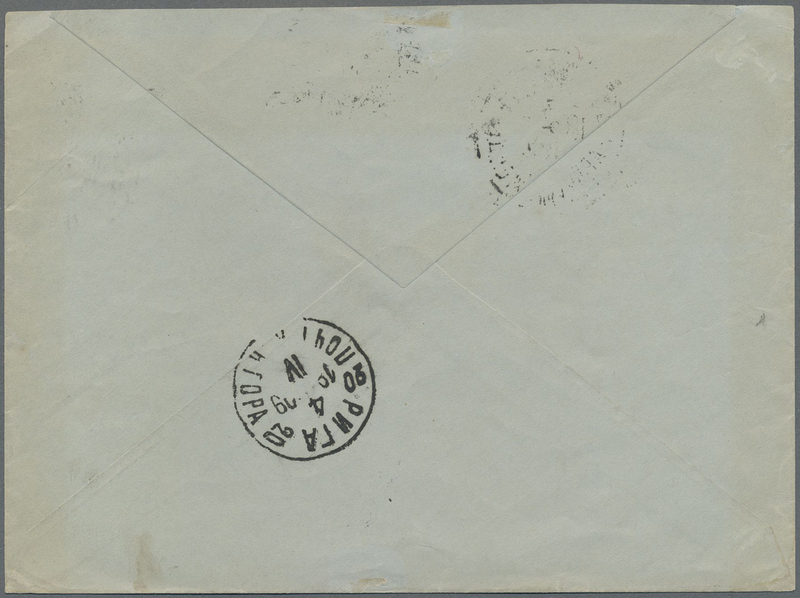 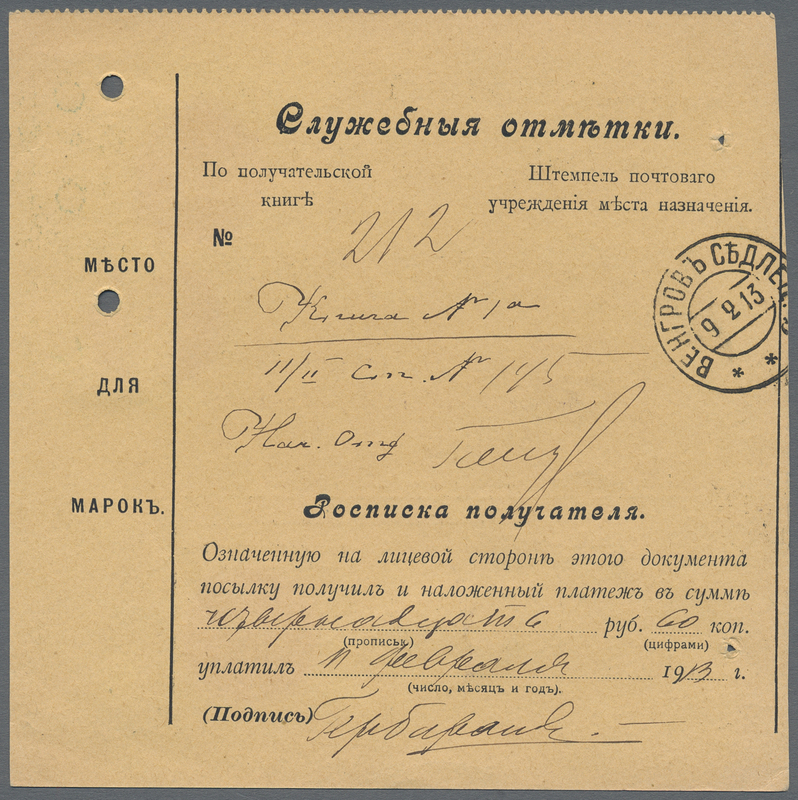 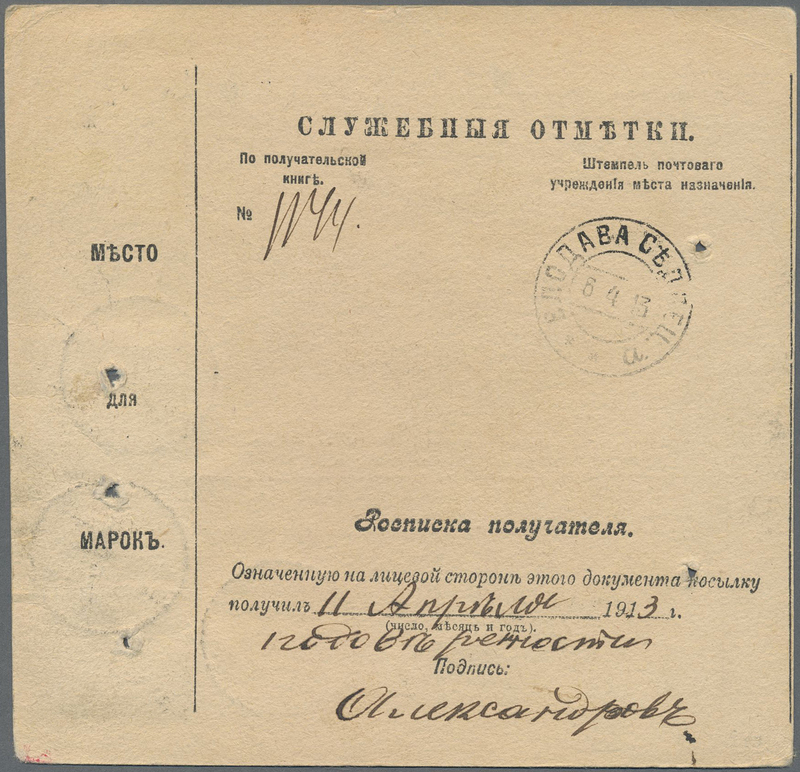 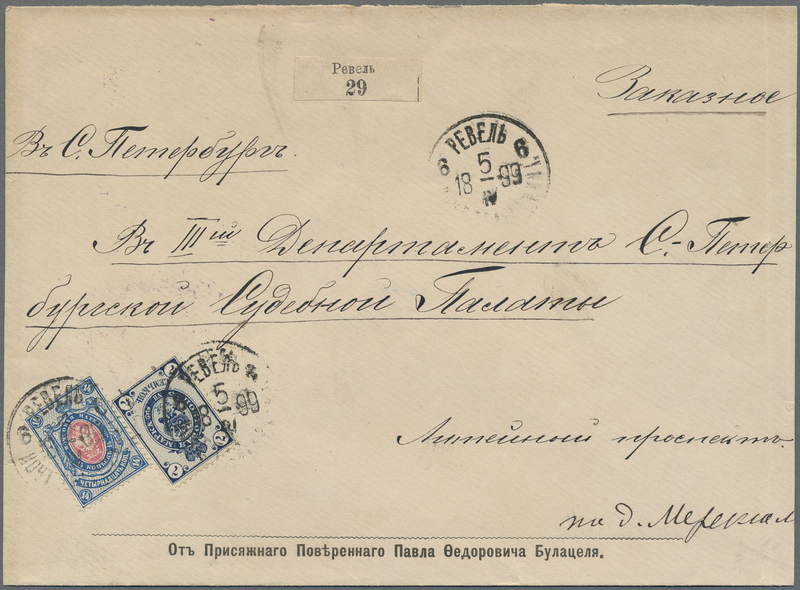 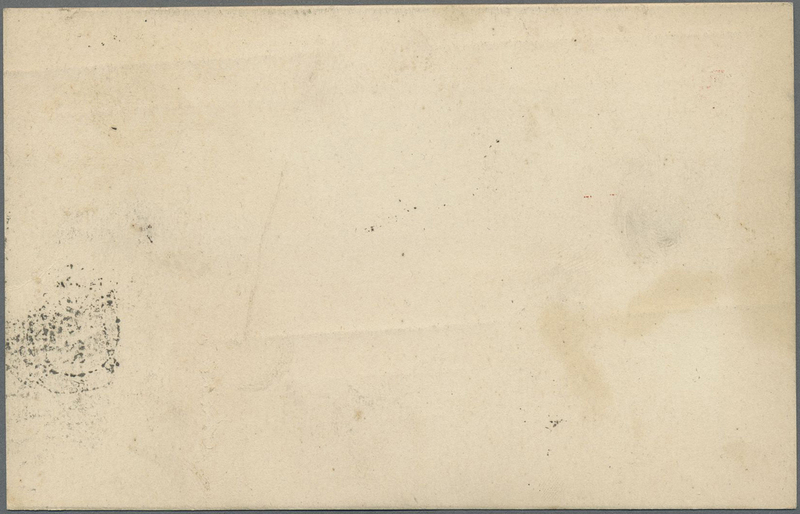 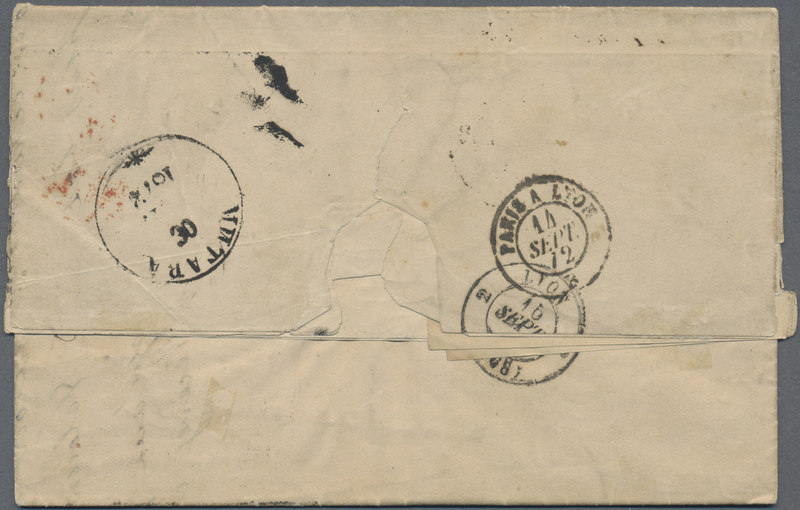 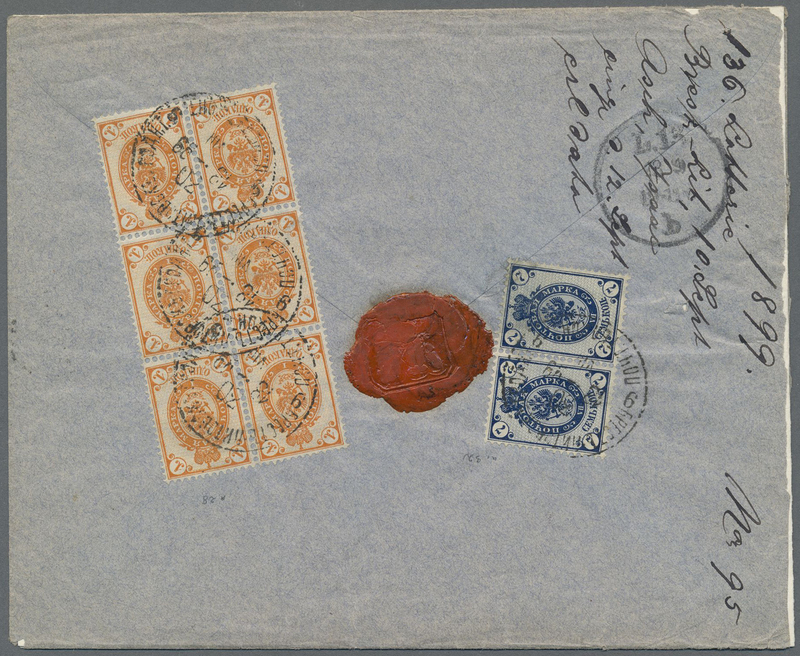 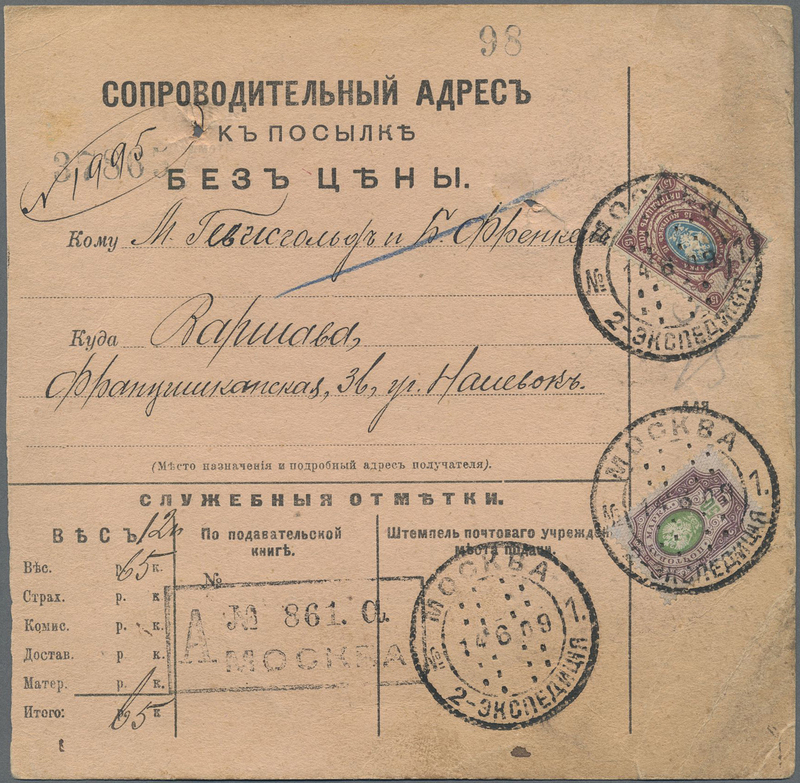 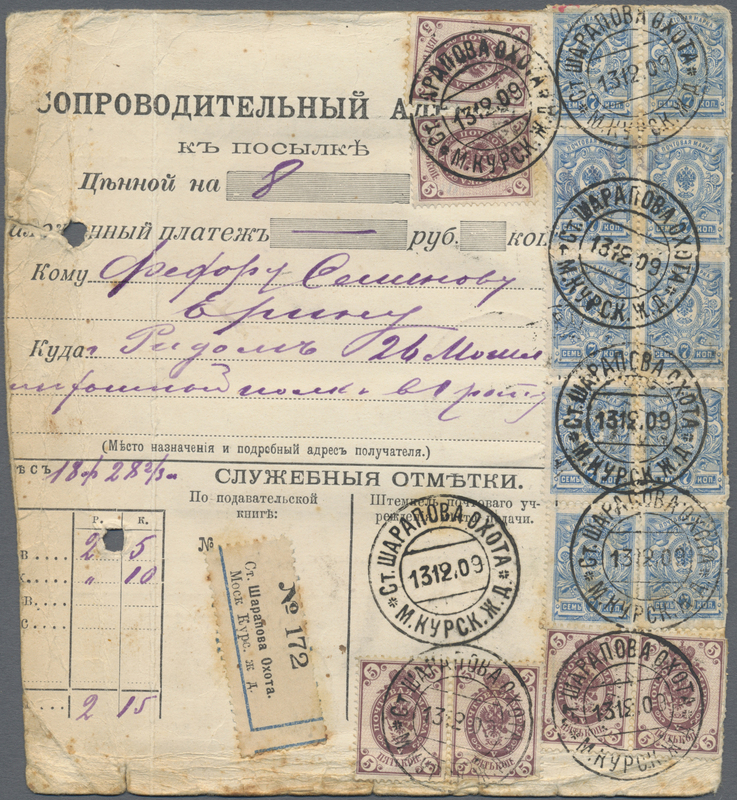 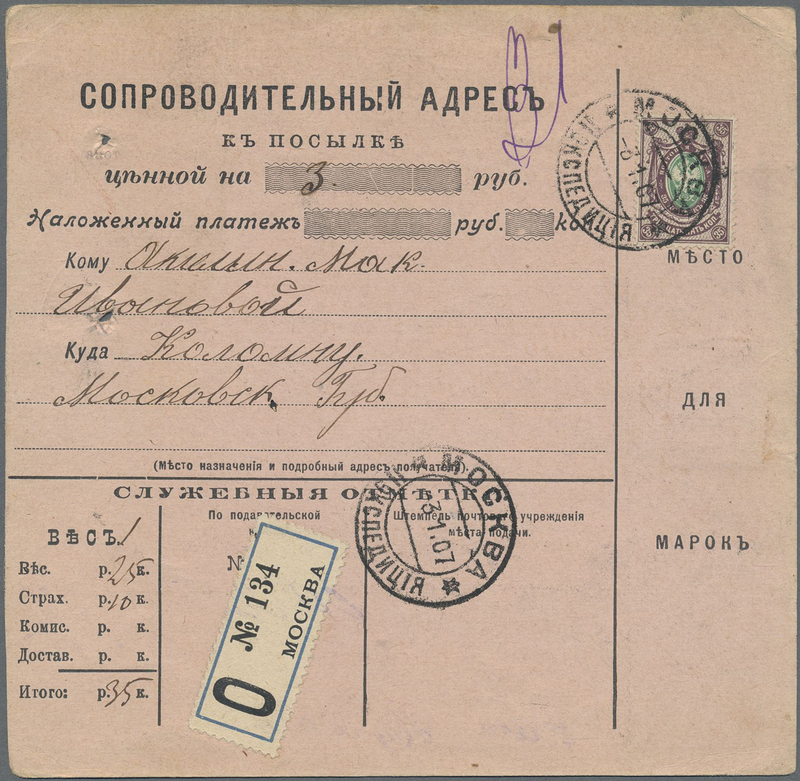 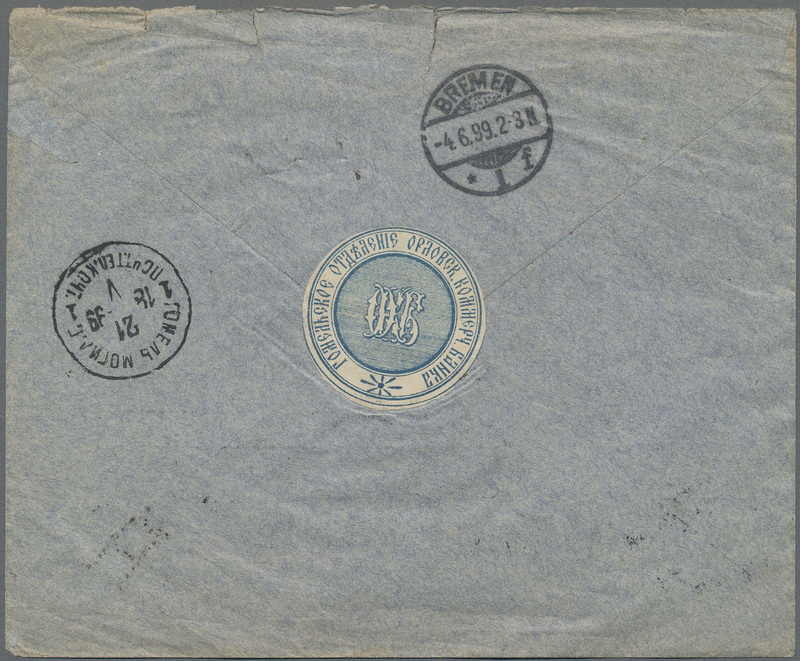 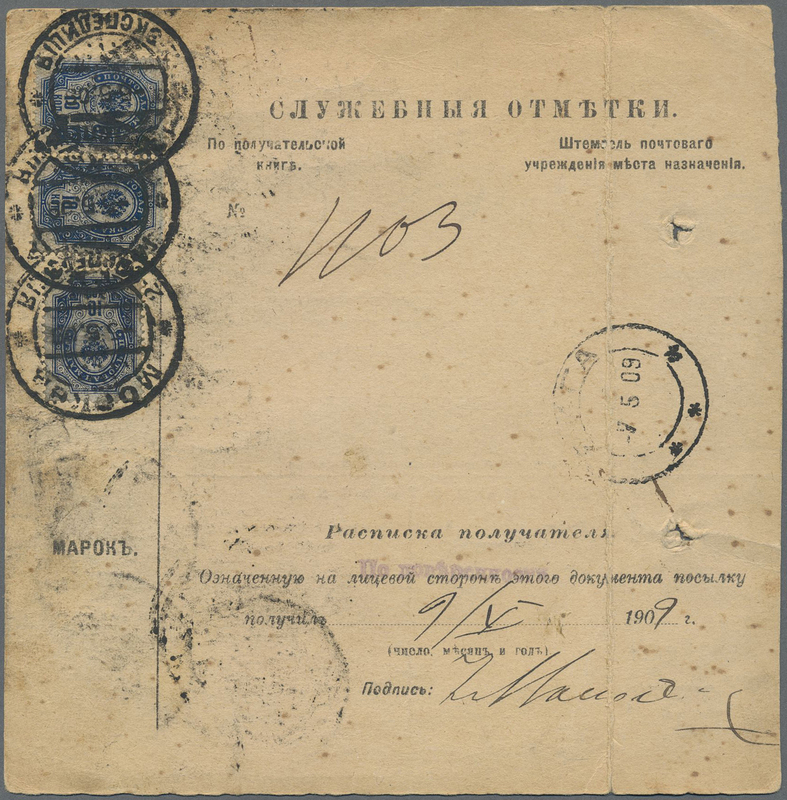 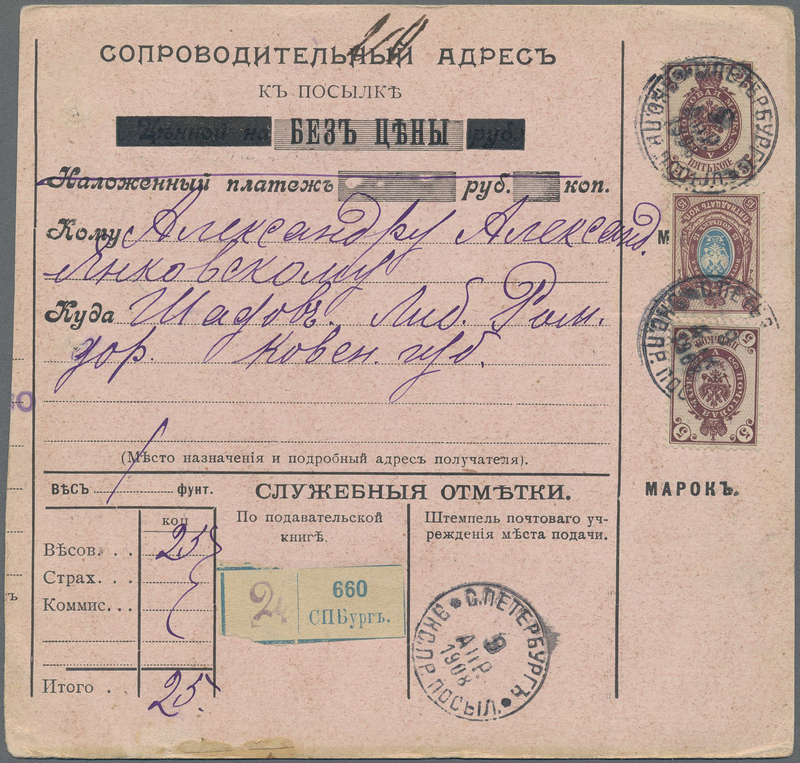 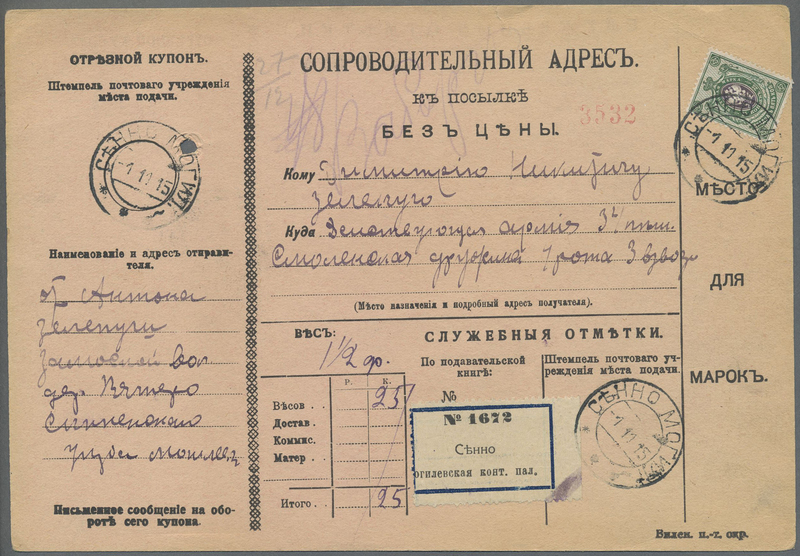 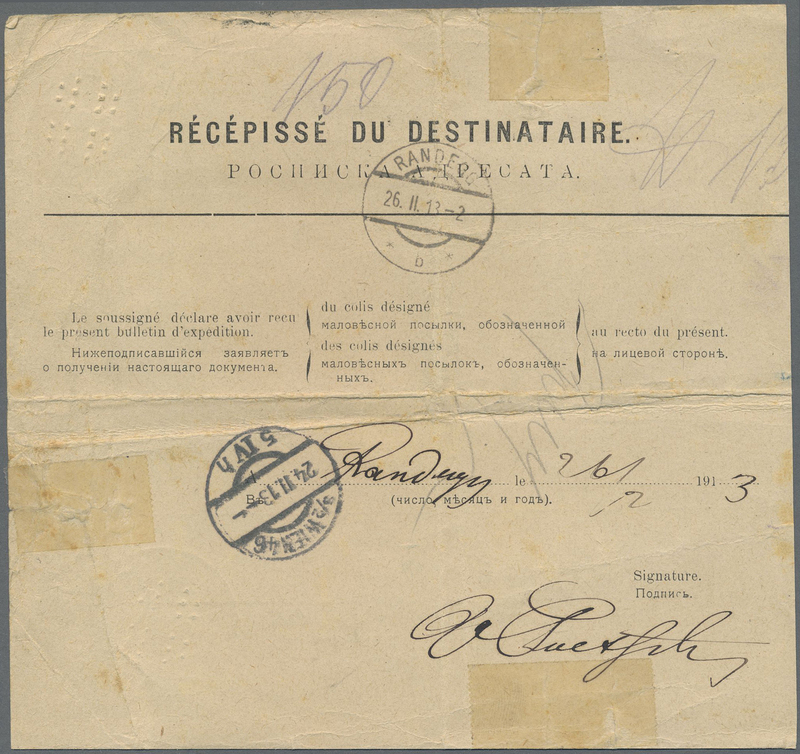 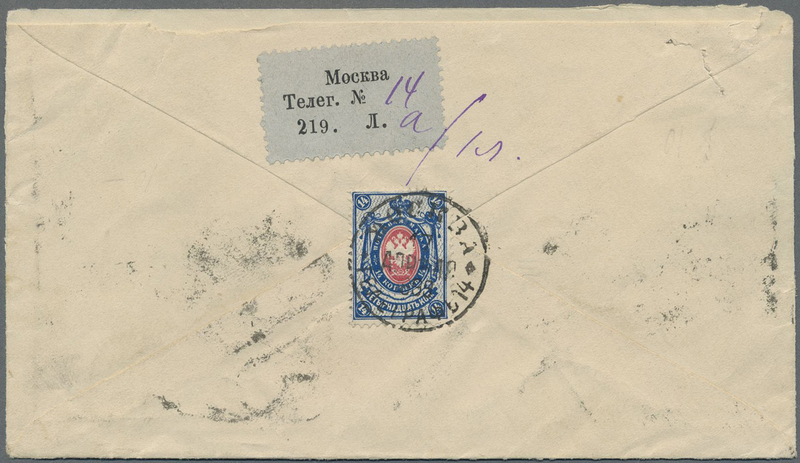 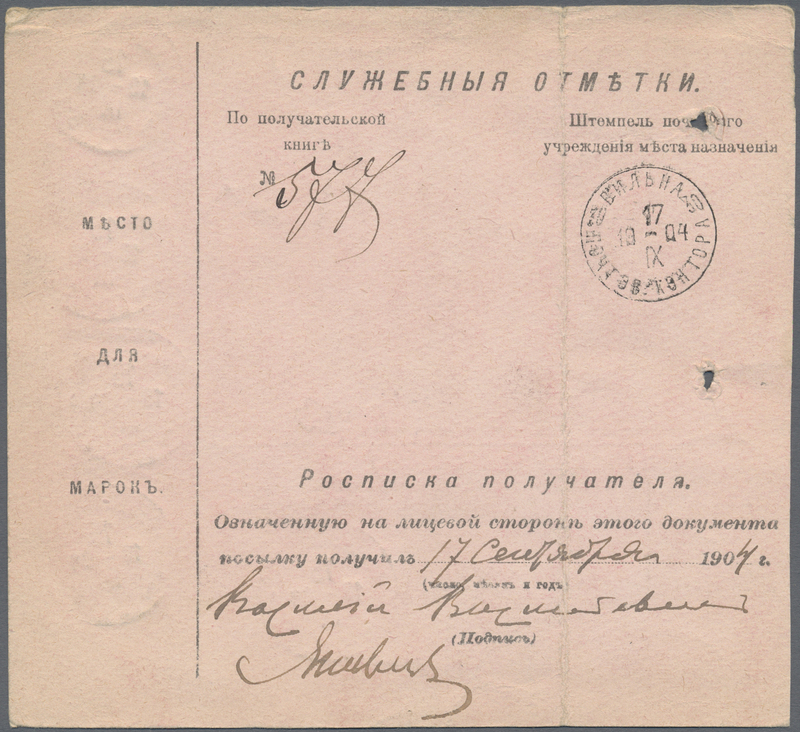 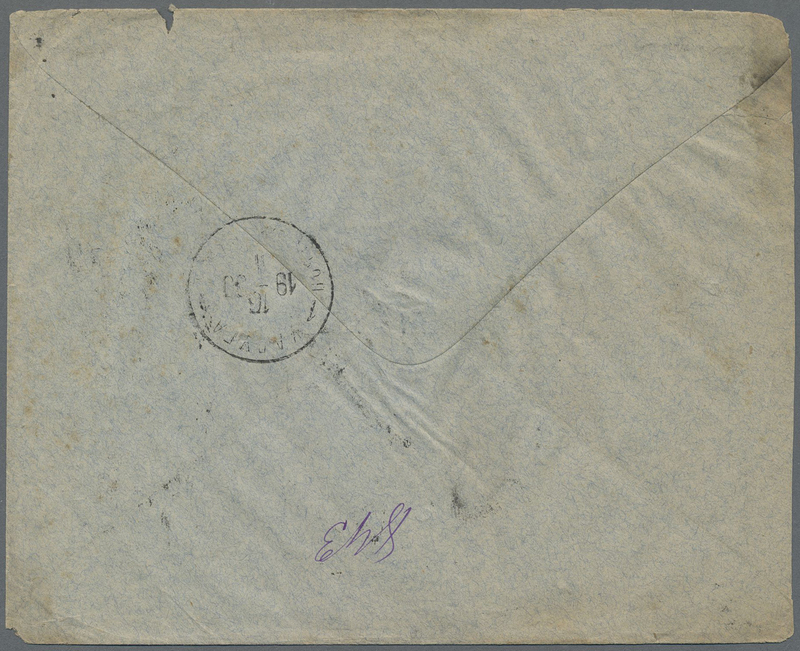 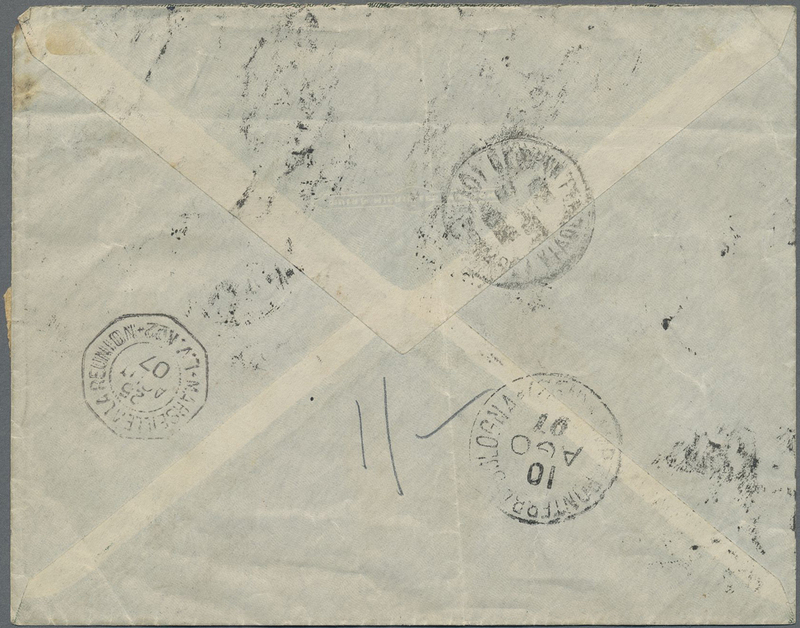 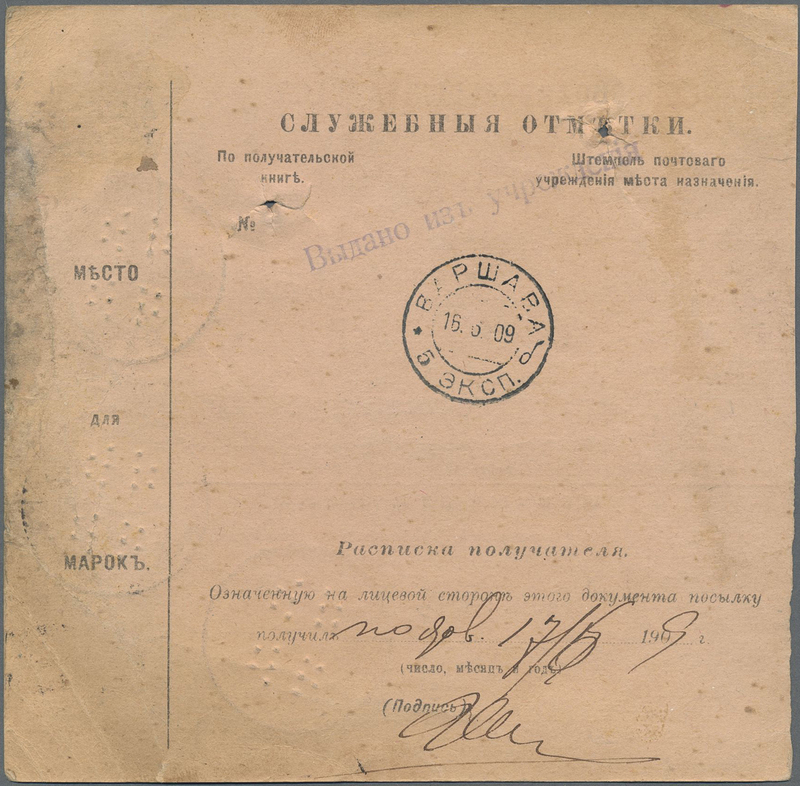 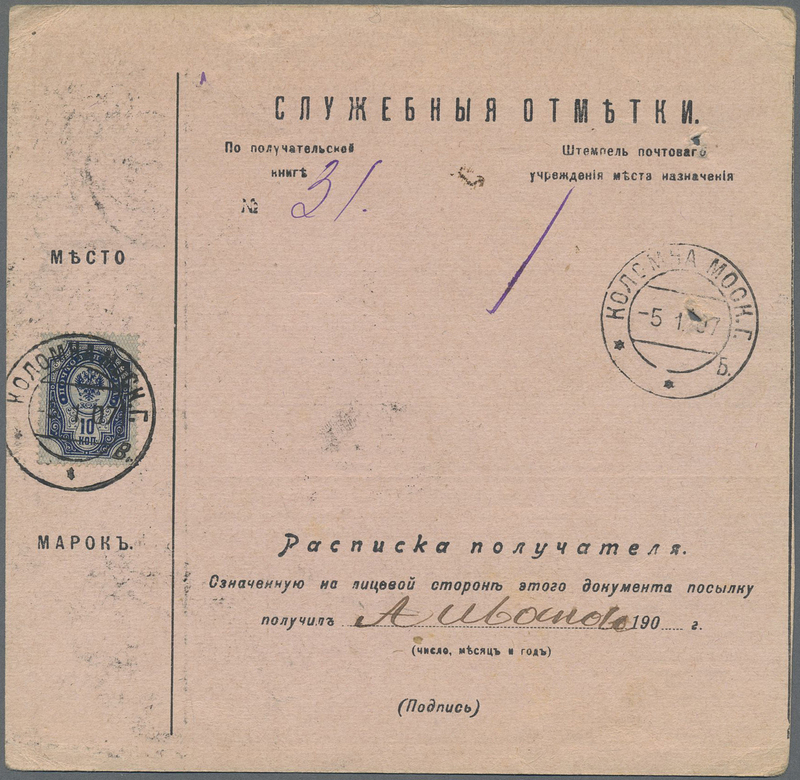 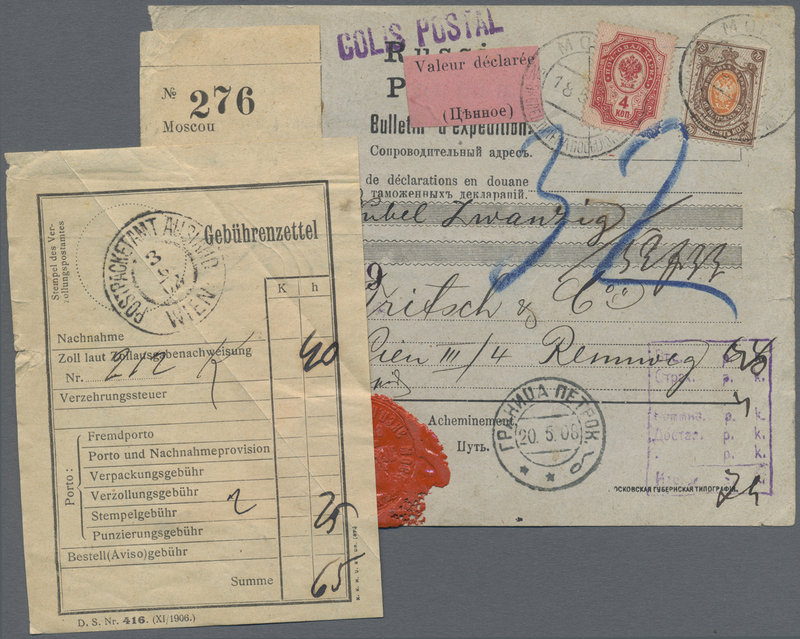 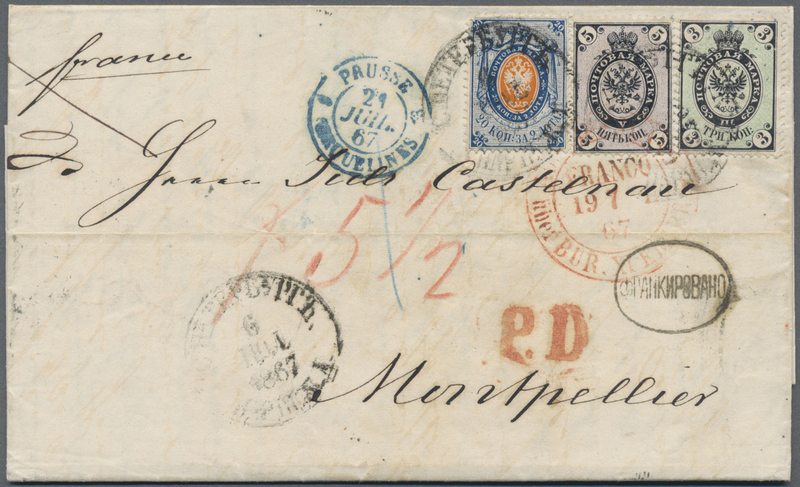 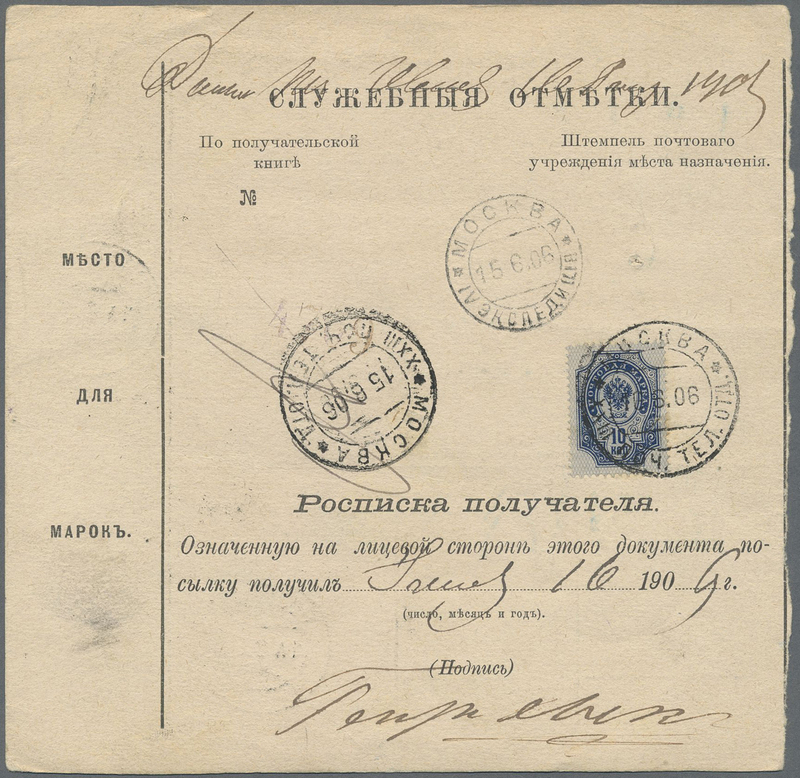 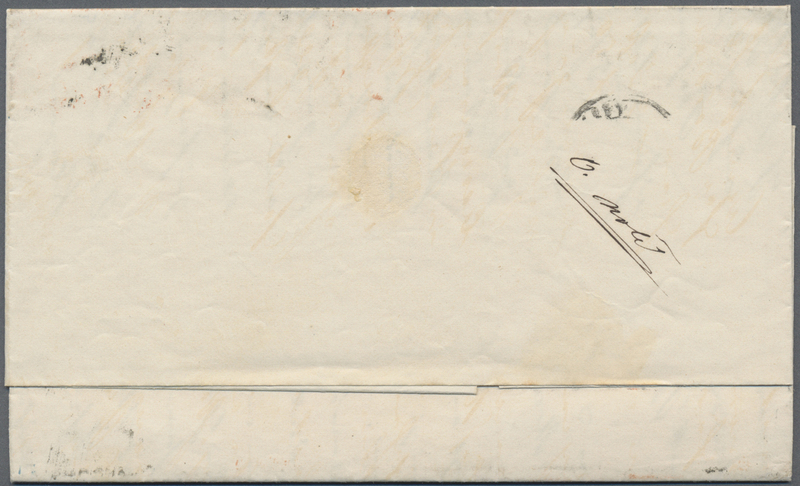 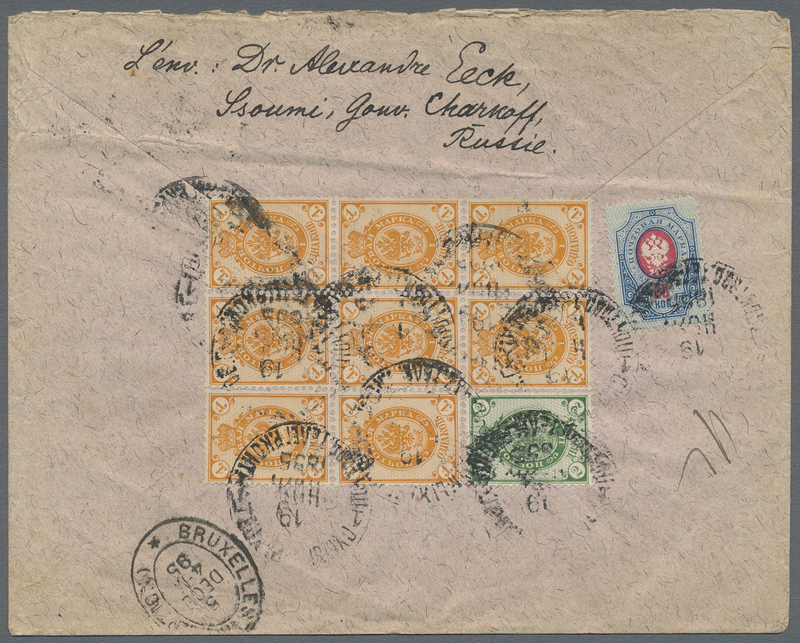 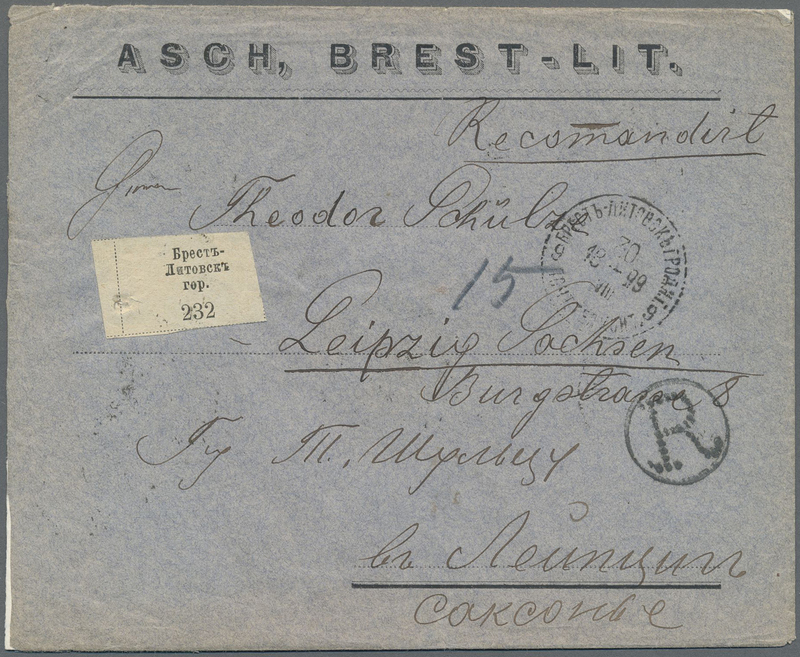 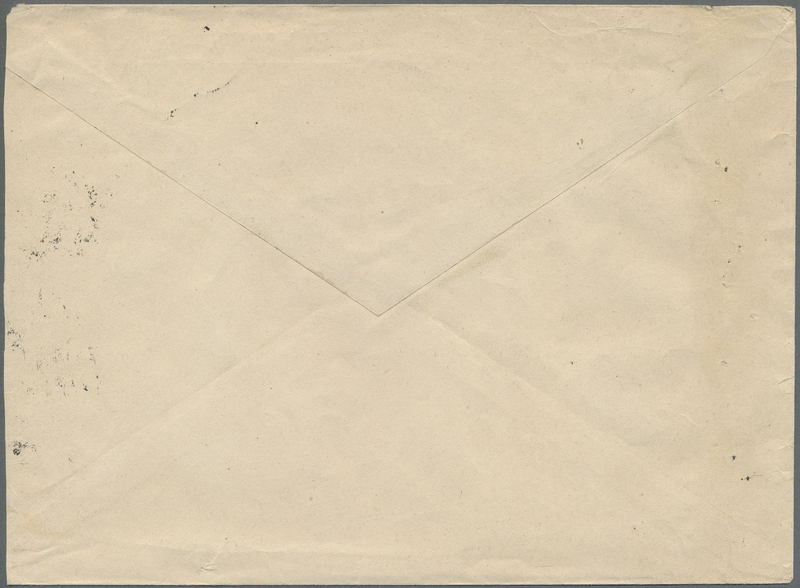 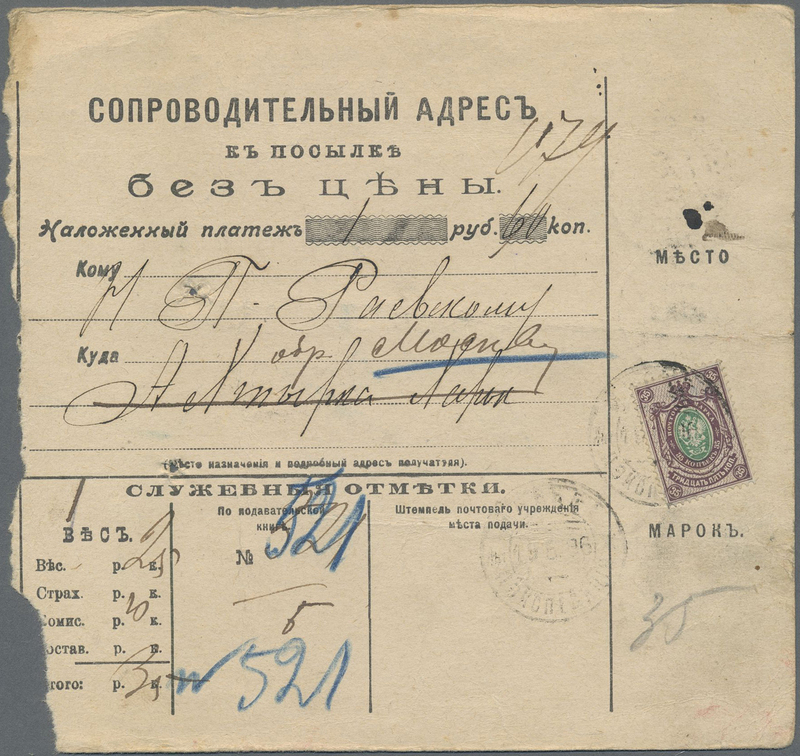 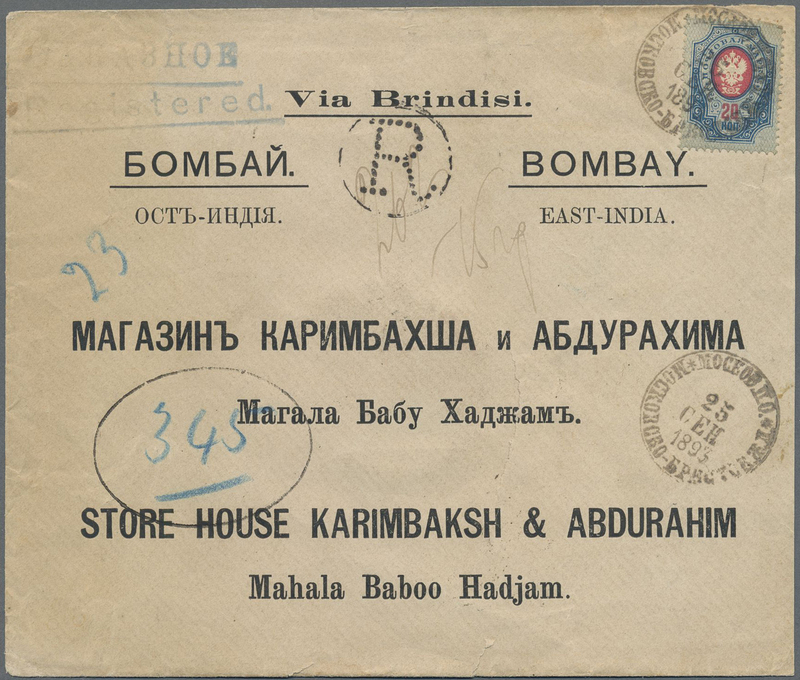 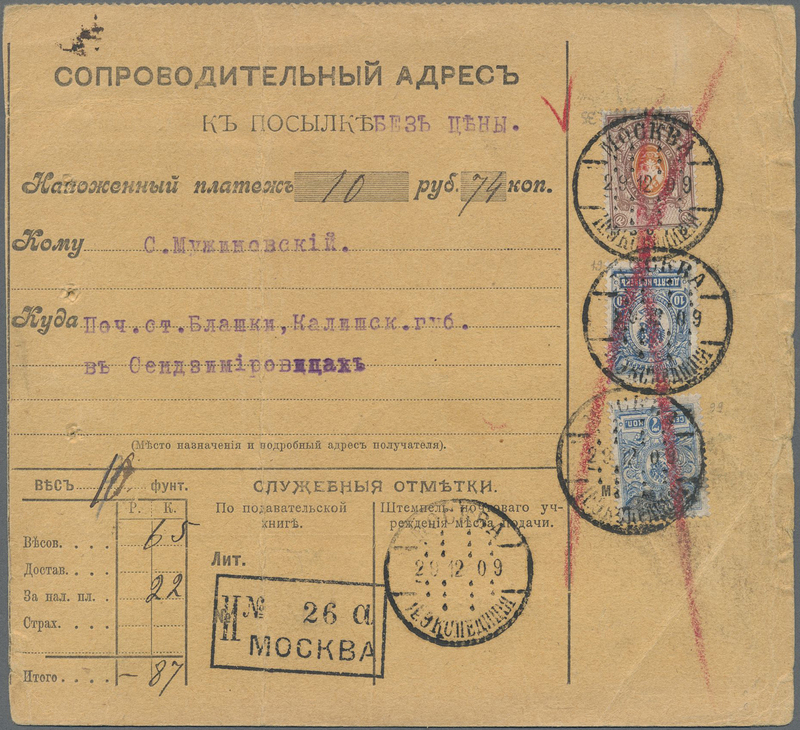 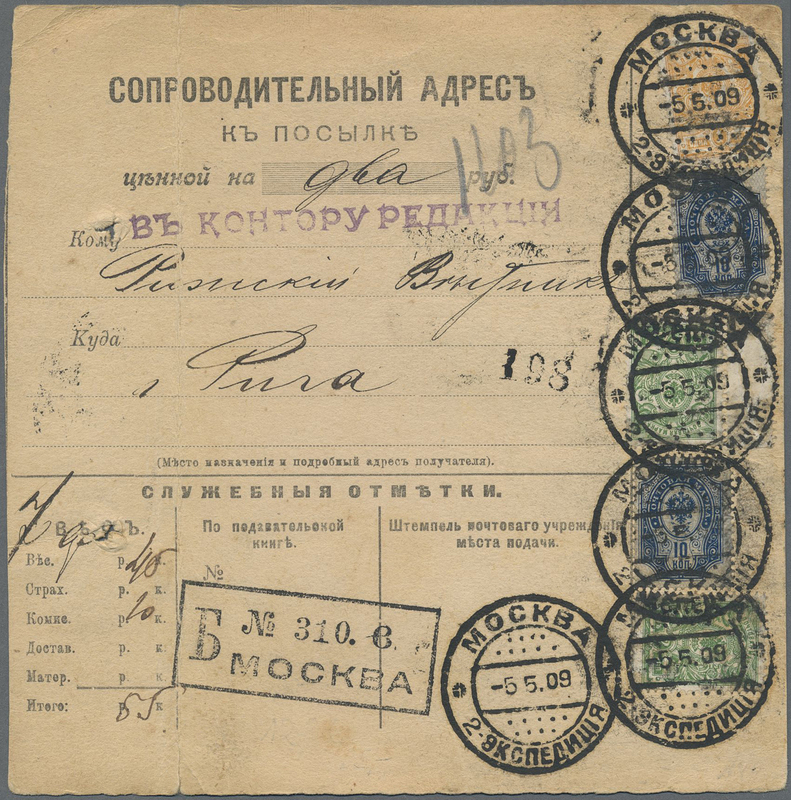 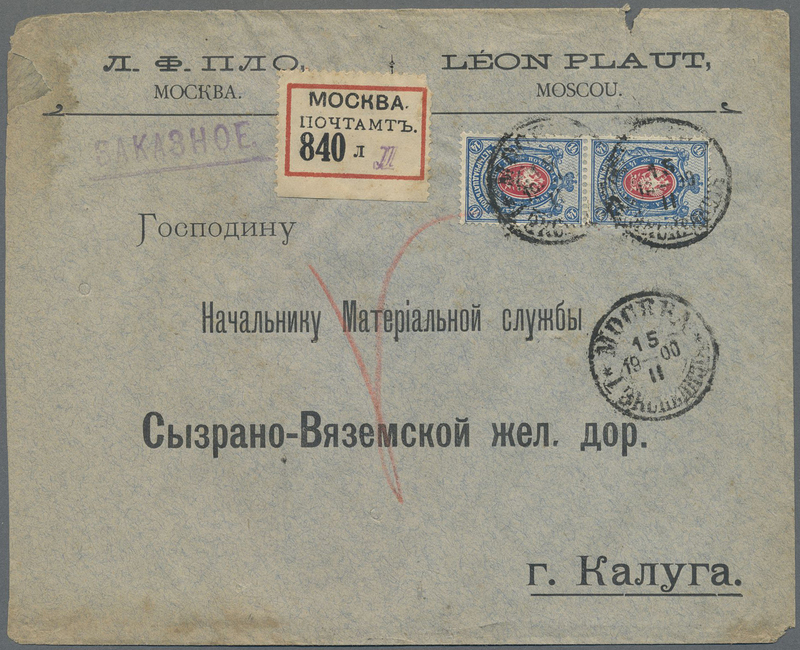 light blue & bright brown-lilac on vertical laid paper with part of sheet watermark, showing variety "CENTER INVERTED", used and cancelled by Kolomna "?????? 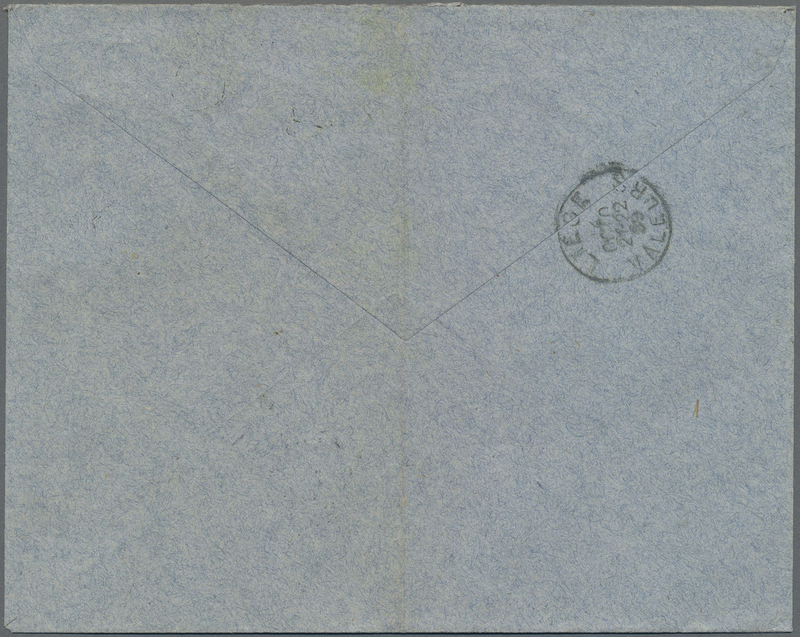 ?.../24.9.07" datestamp. 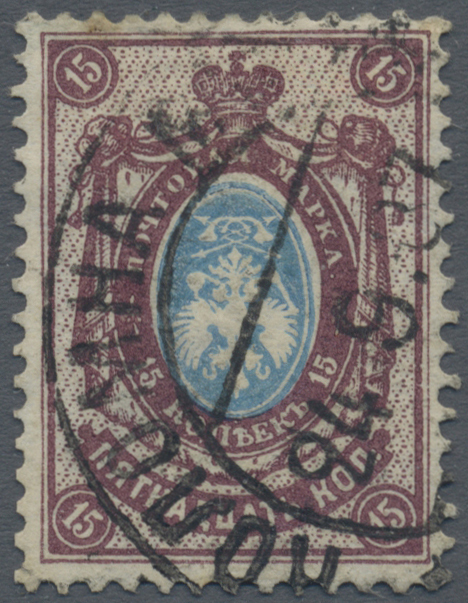 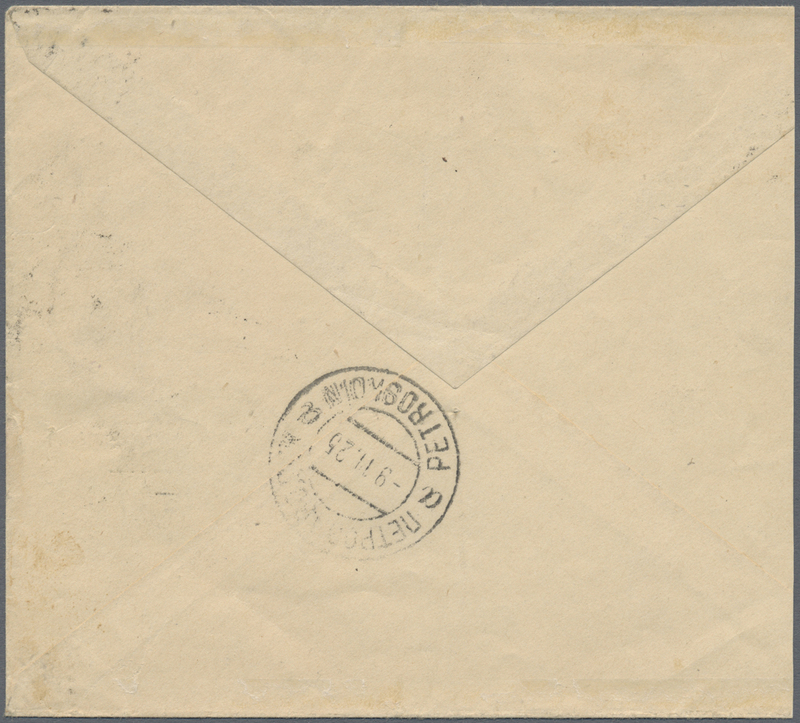 The fresh stamp with a partially separated bottom left corner perf otherwise fine. 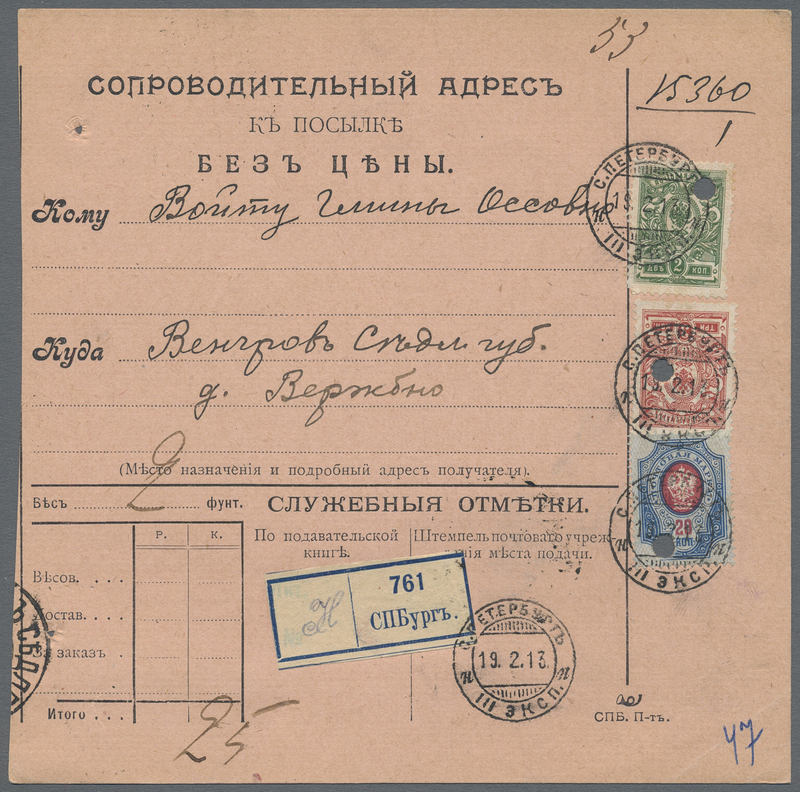 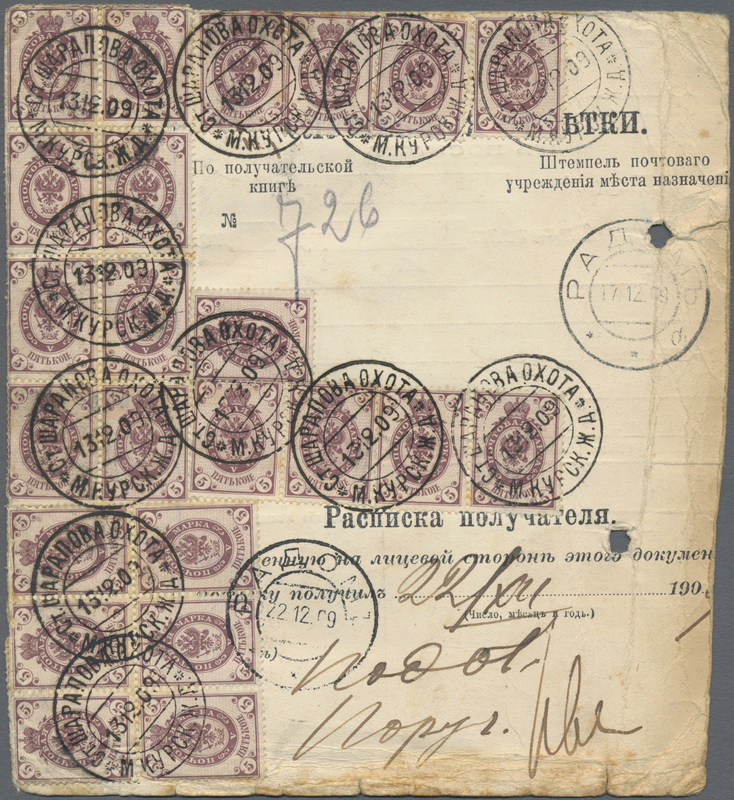 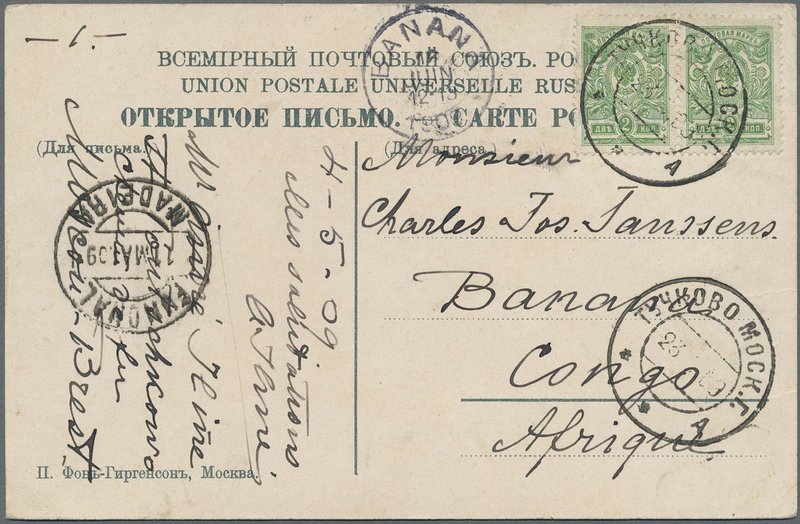 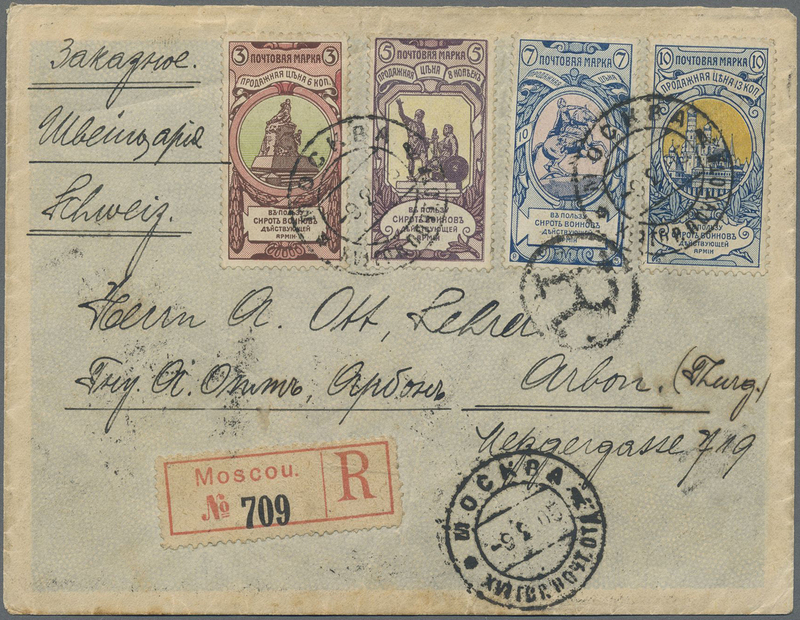 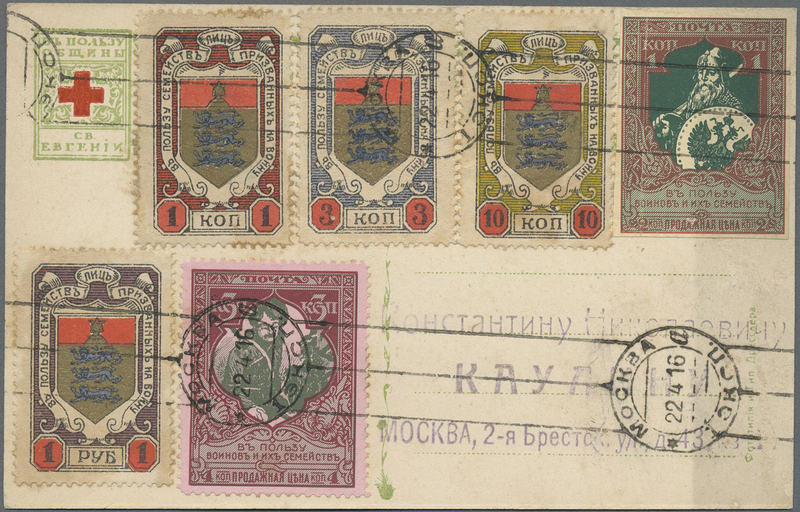 A GREAT RARITY OF RUSSIAN PHILATELY - ONLY 22 COPIES OF THIS VARIETY ARE RECORDED. 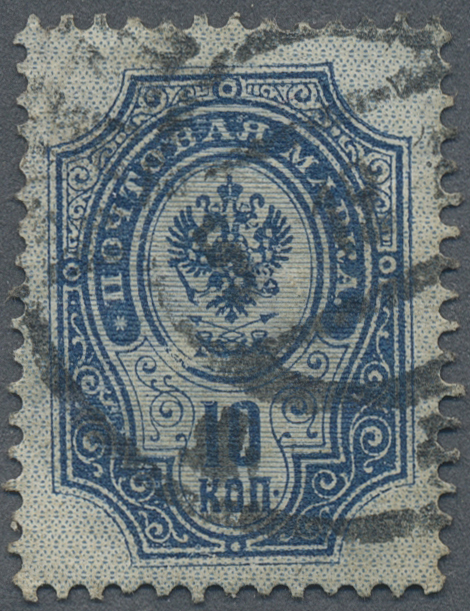 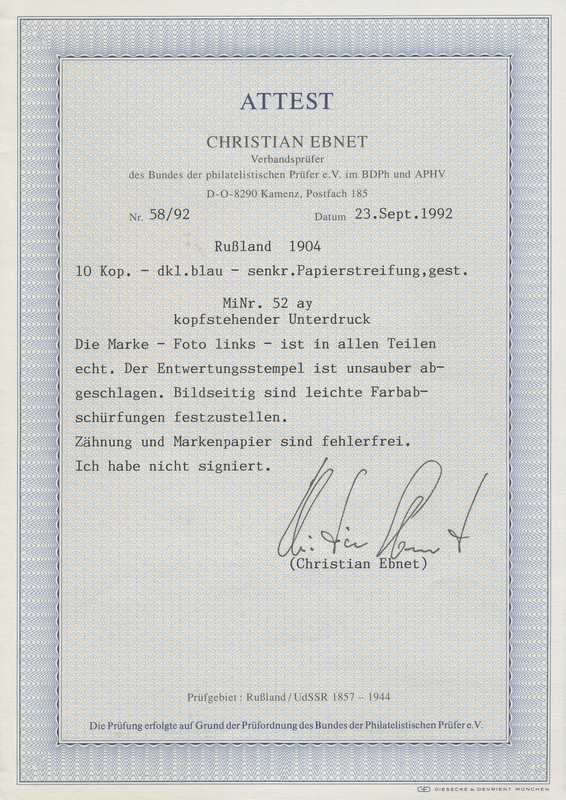 19780 gestempelt (marked) 52y K 1904 25 kop. 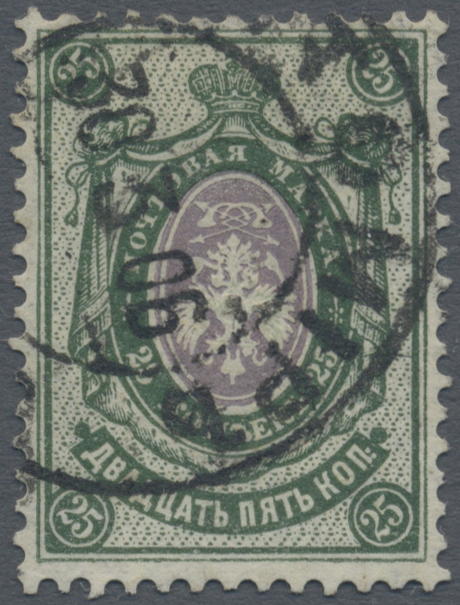 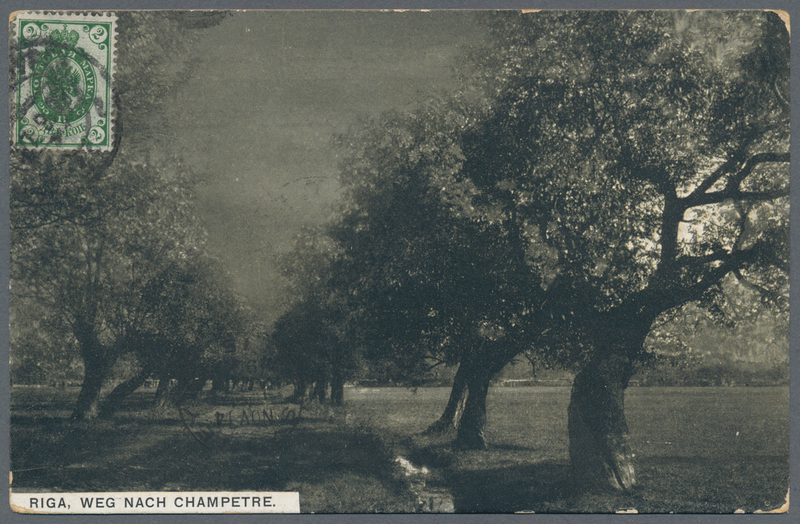 grey-violet & green on vertical laid paper, showing variety "CENTER INVERTED", used and cancelled by Kolomna "...??? 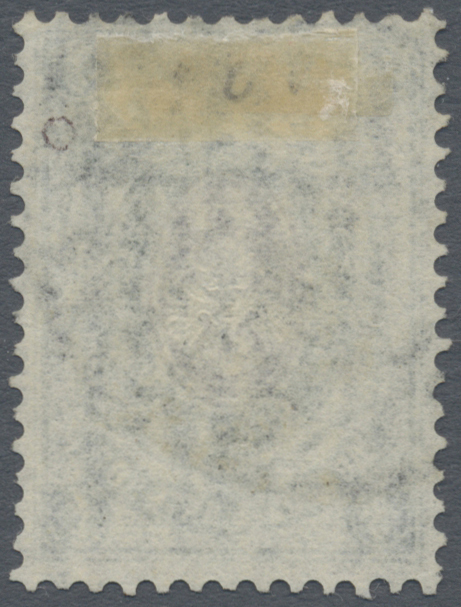 ?I?/30.3.06" datestamp, with fresh colours, well perforated and centered, very fine. 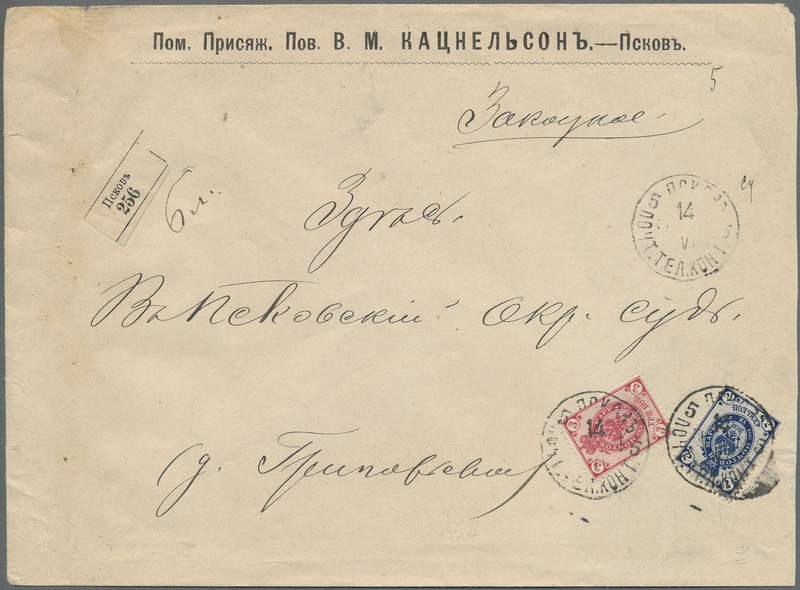 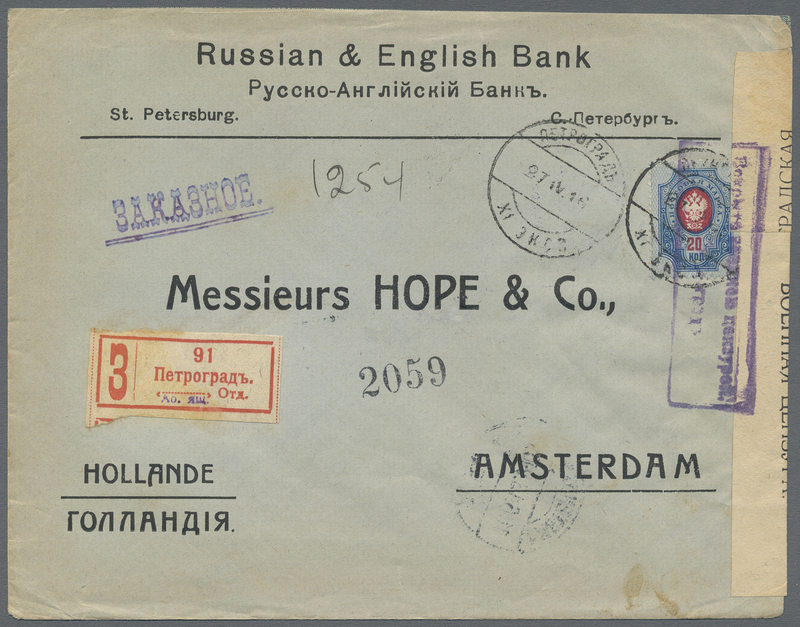 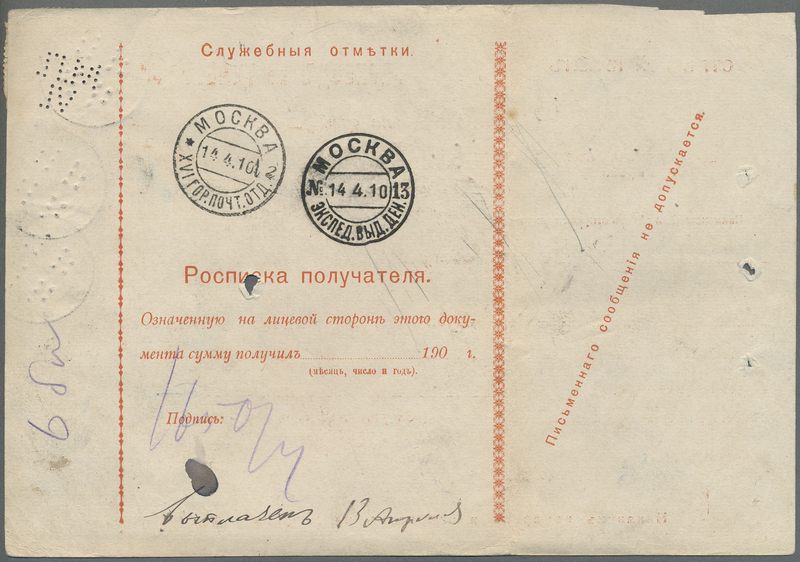 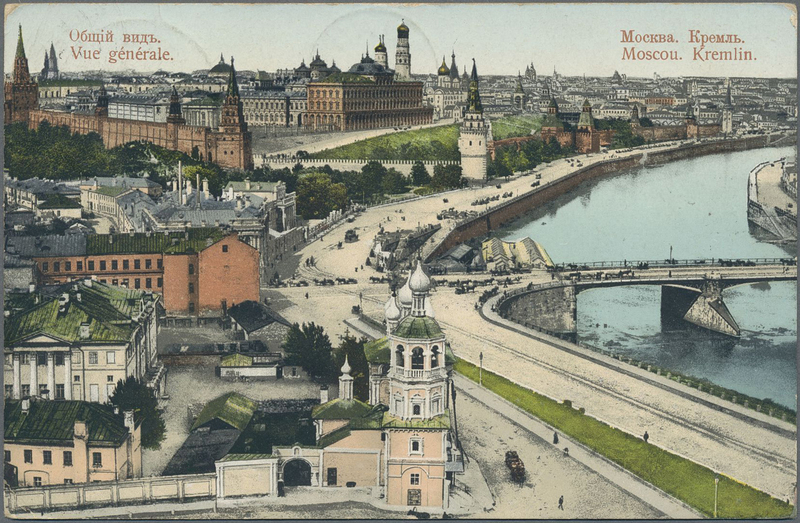 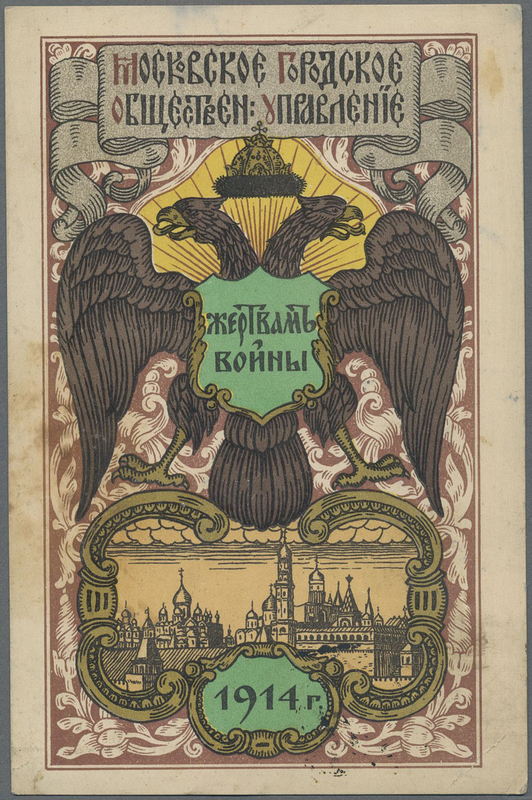 A GREAT RARITY OF RUSSIAN PHILATELY - ONLY 19 COPIES OF THIS VARIETY ARE RECORDED.